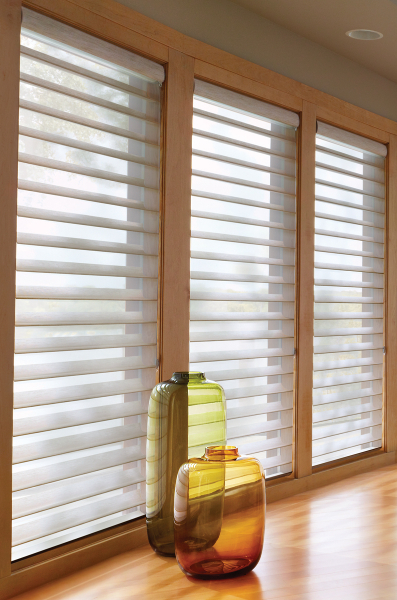 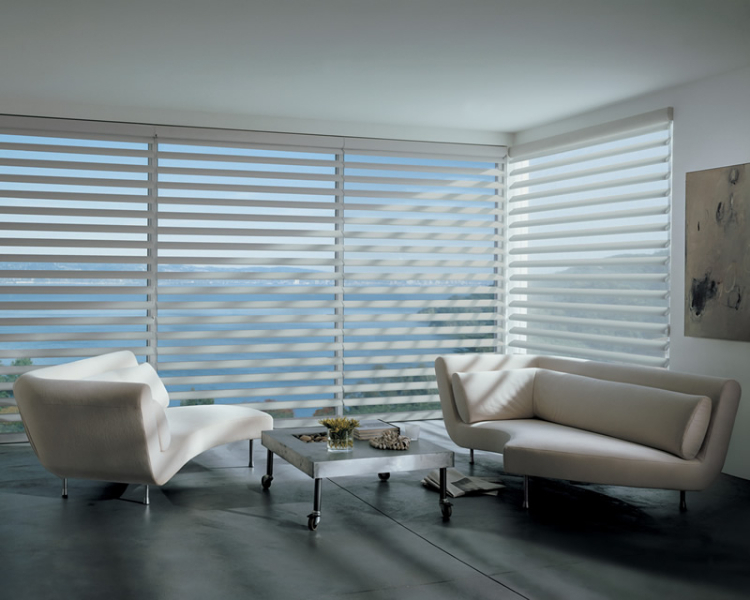 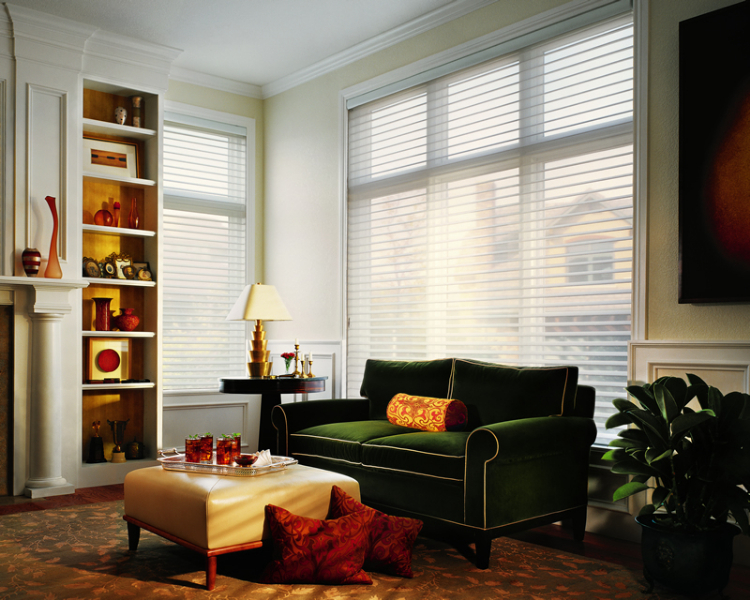 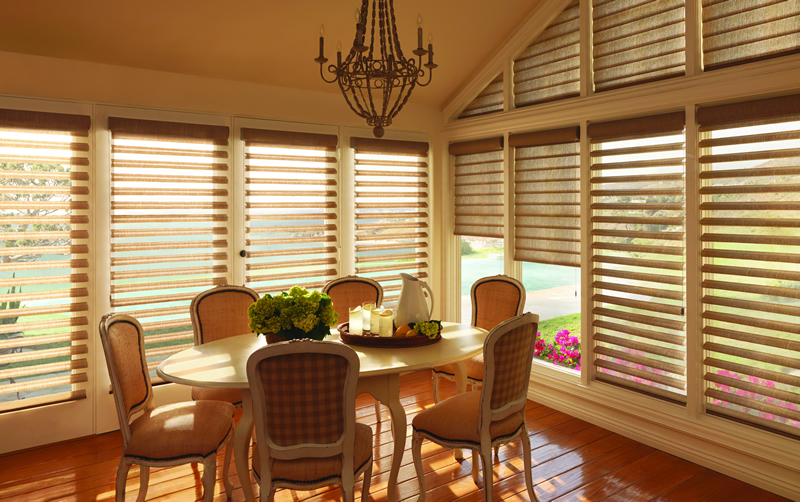 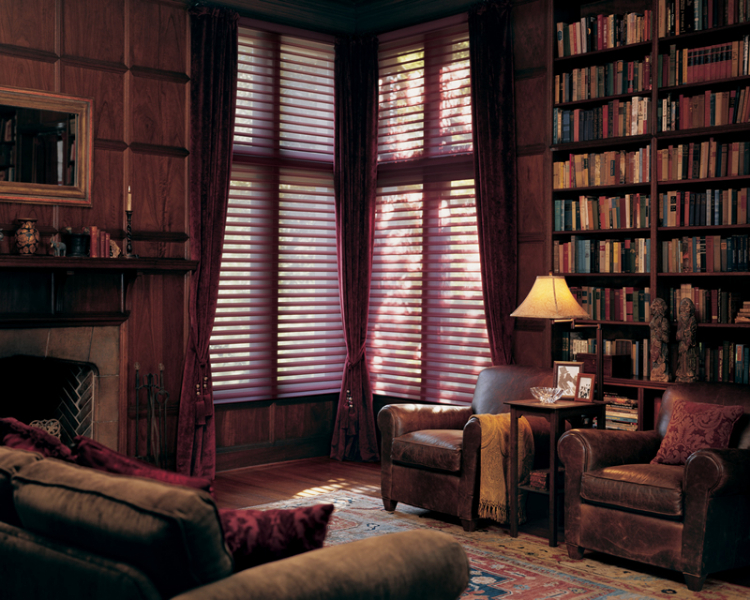 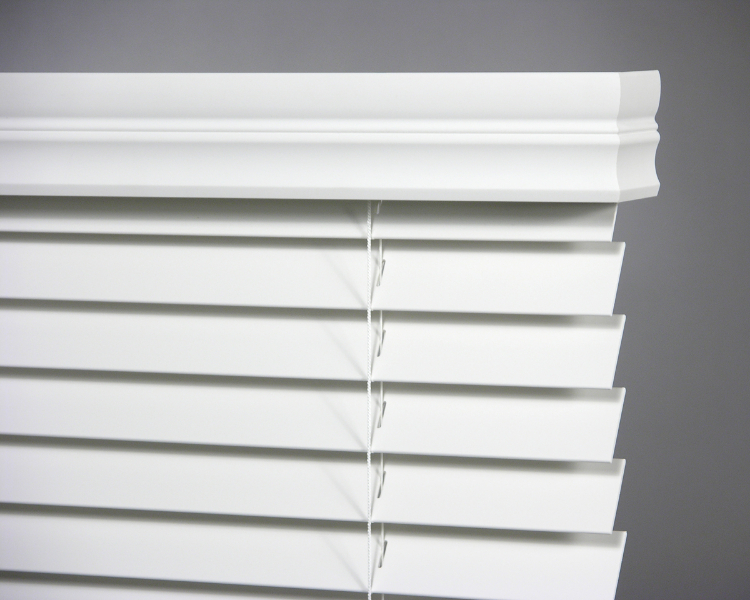 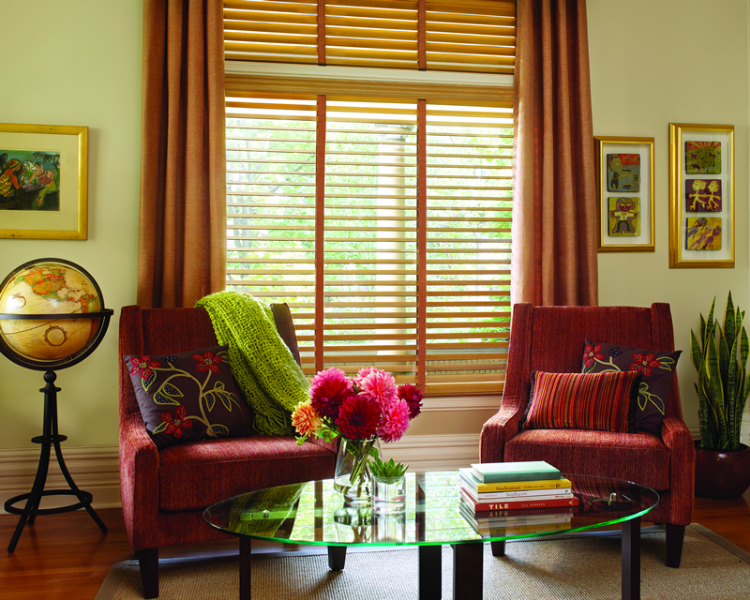 Other than our world class shutters, Kirtz Shutters proudly offers a full complement of shades and blinds. 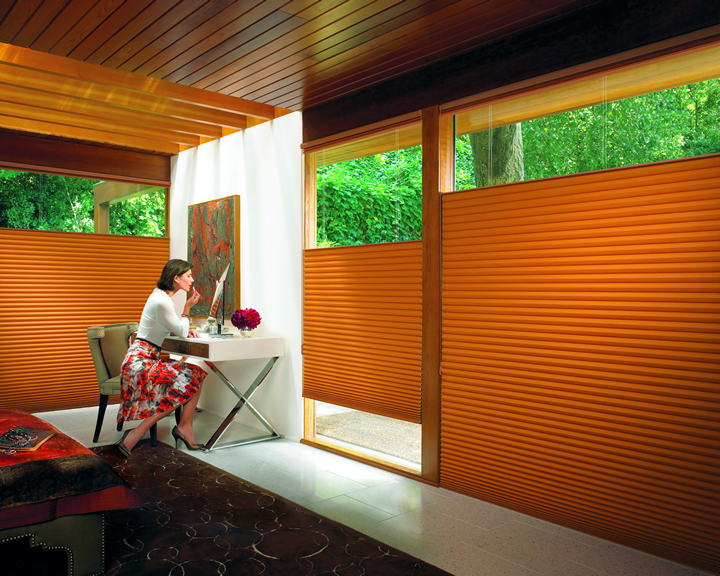 Featuring Hunter Douglas® window coverings and other specialty manufacturers, we offer a variety of window coverings to fit most every home’s décor and budget. 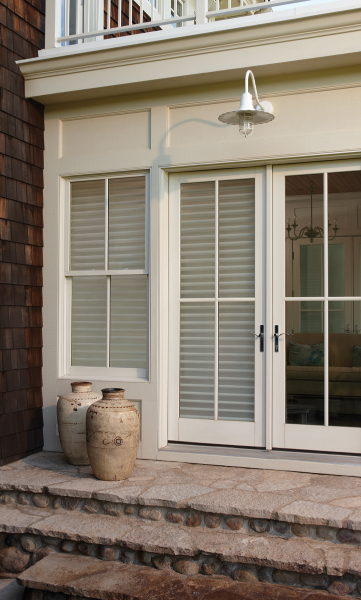 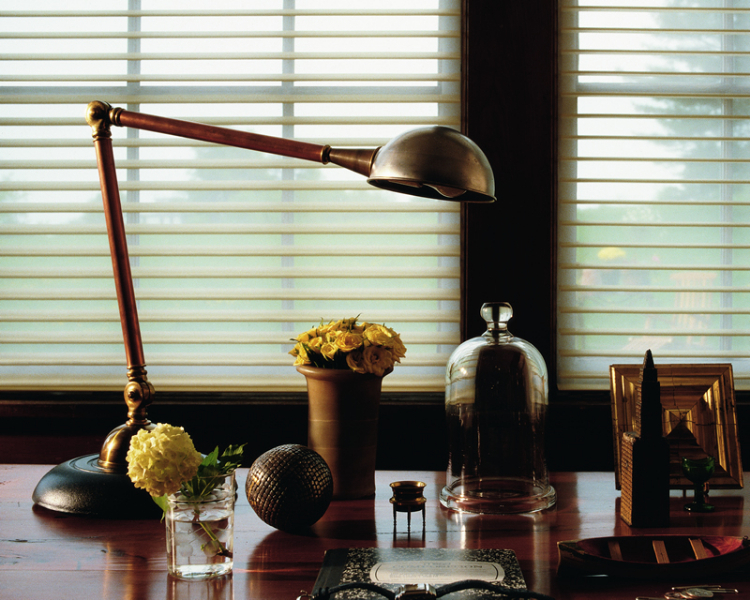 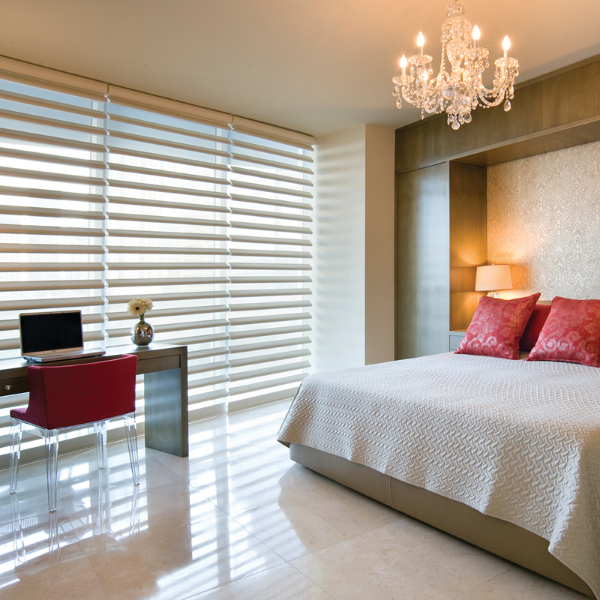 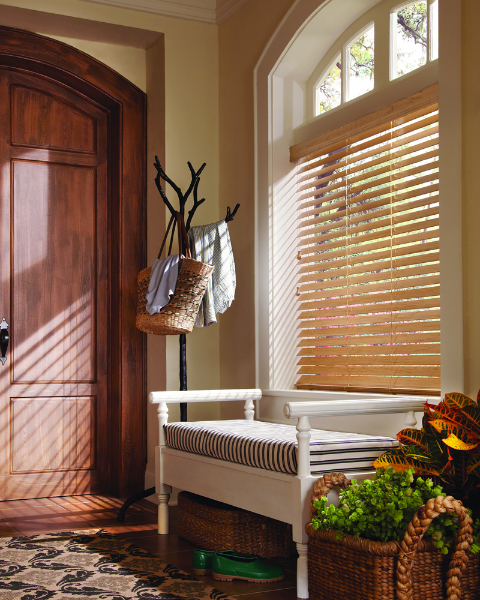 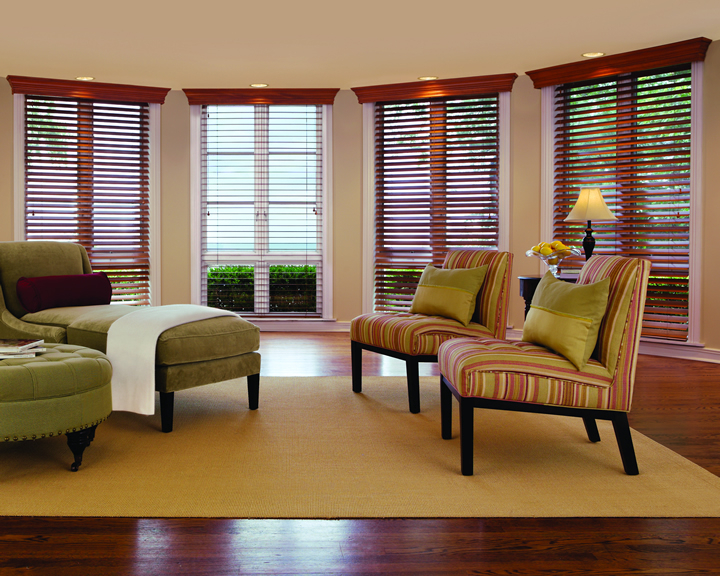 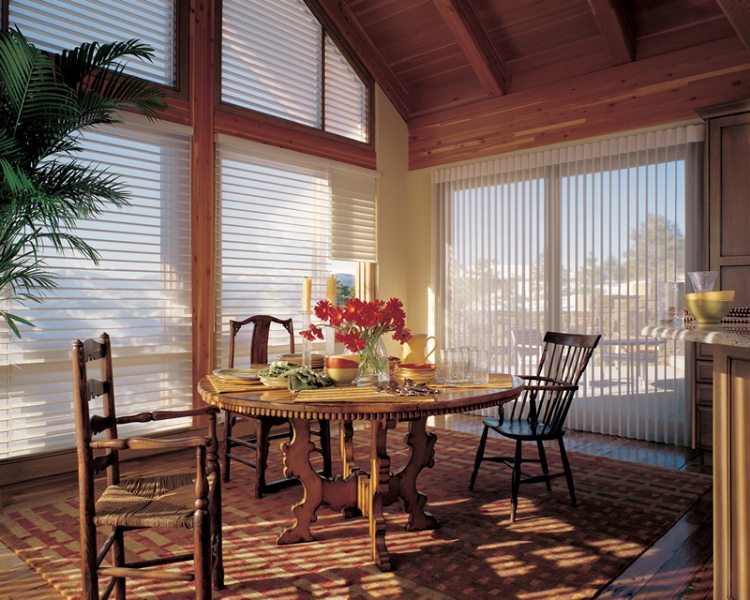 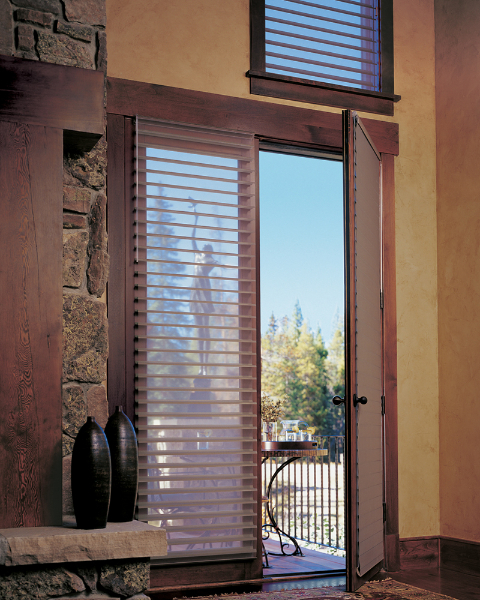 These blinds are a natural complement to plantation shutters. 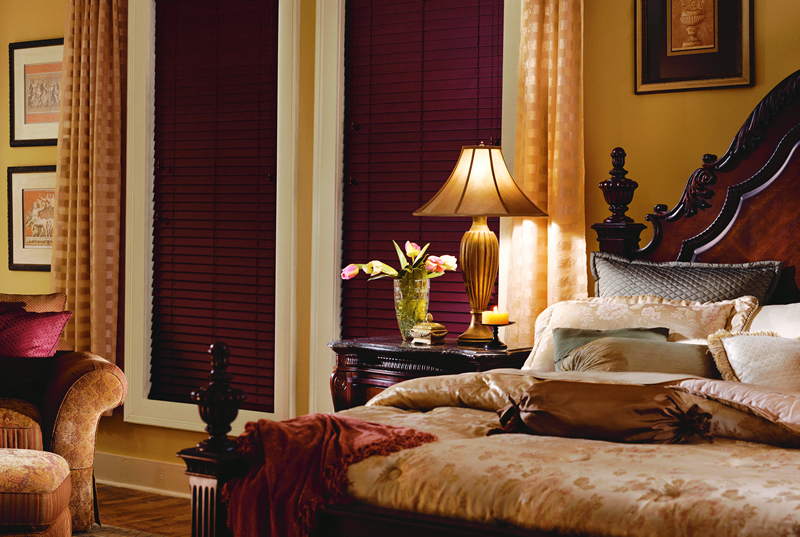 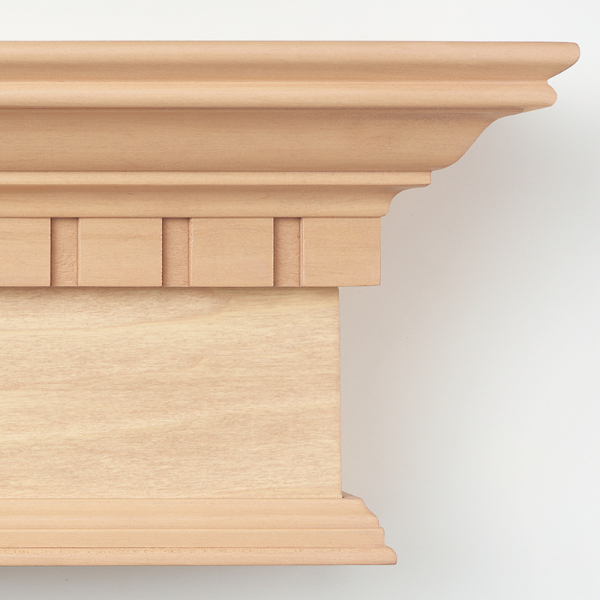 Whether you desire painted, stained or specialty finishes there are many color and design options to make these treatments uniquely yours. 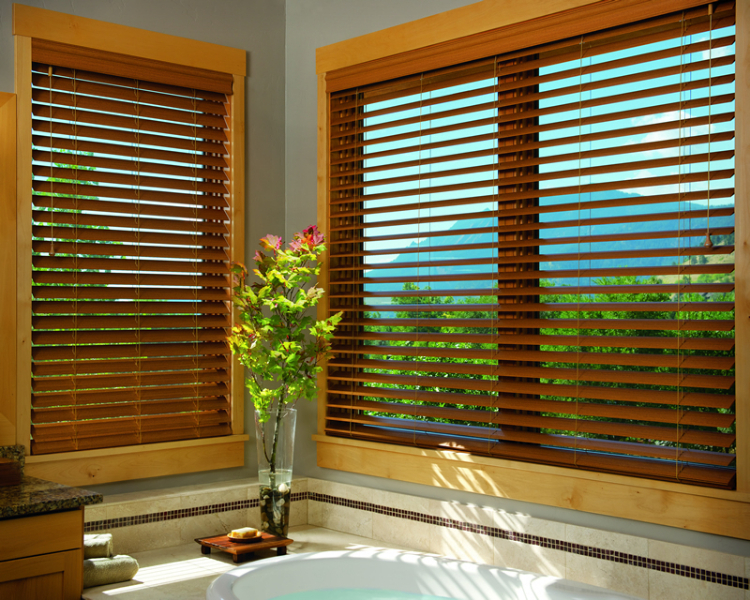 both beautiful and practical. 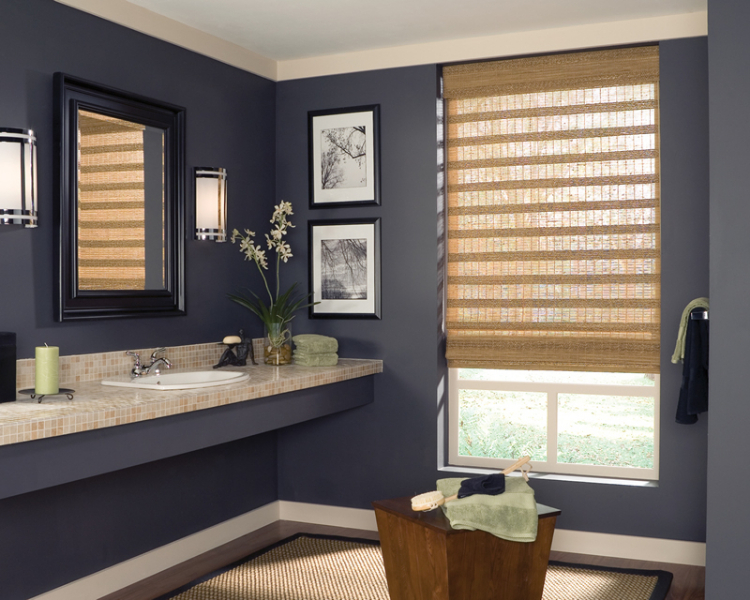 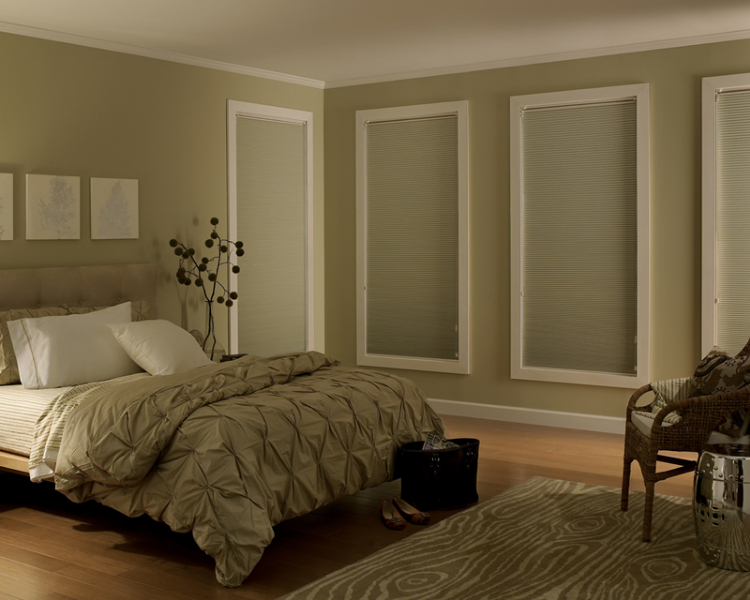 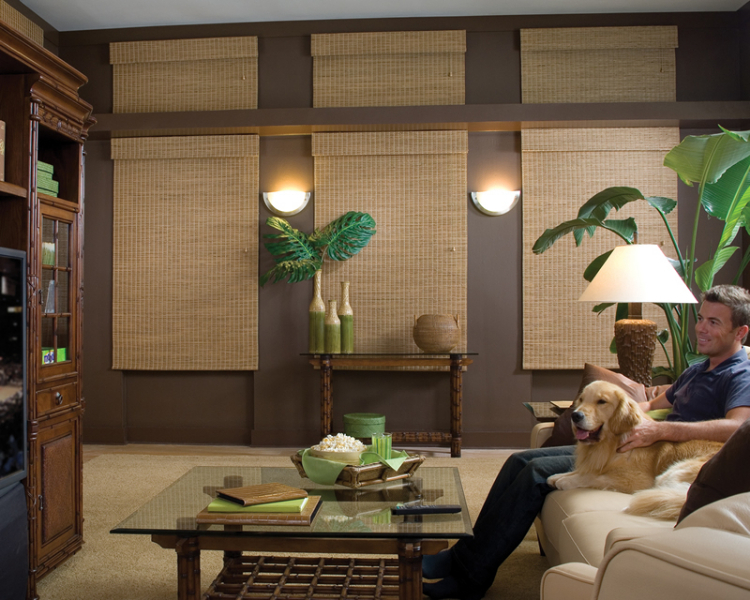 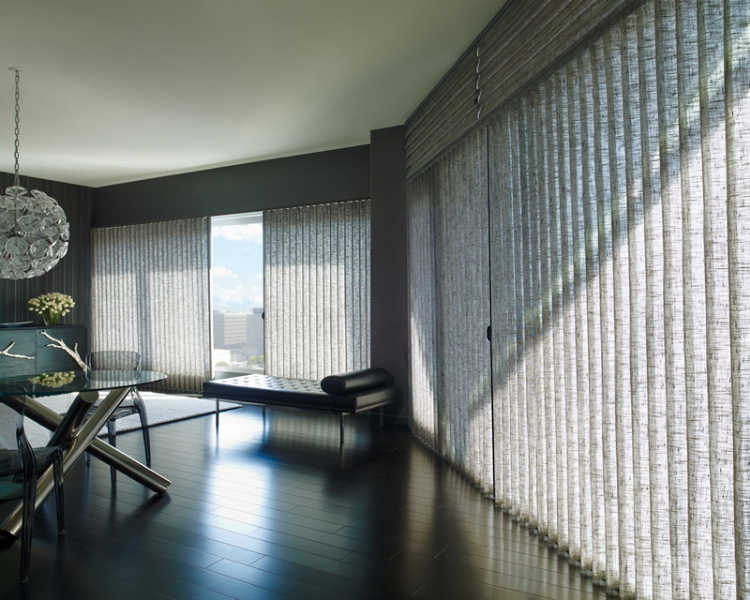 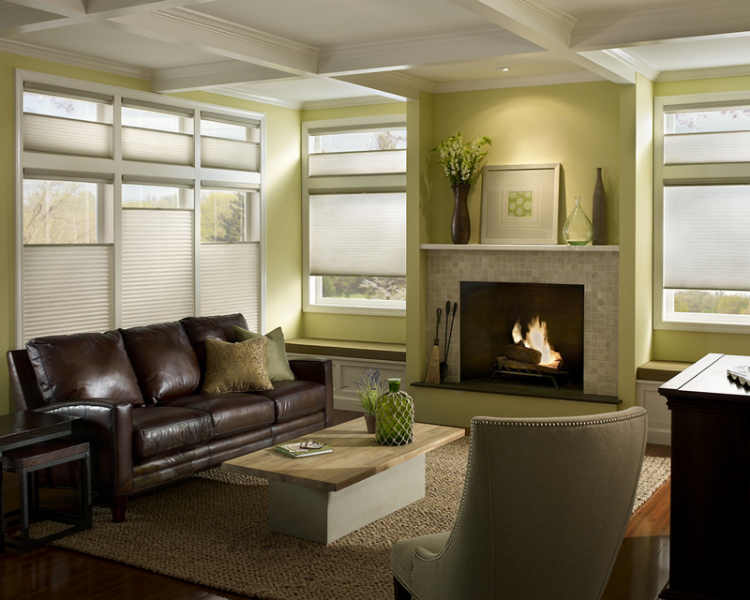 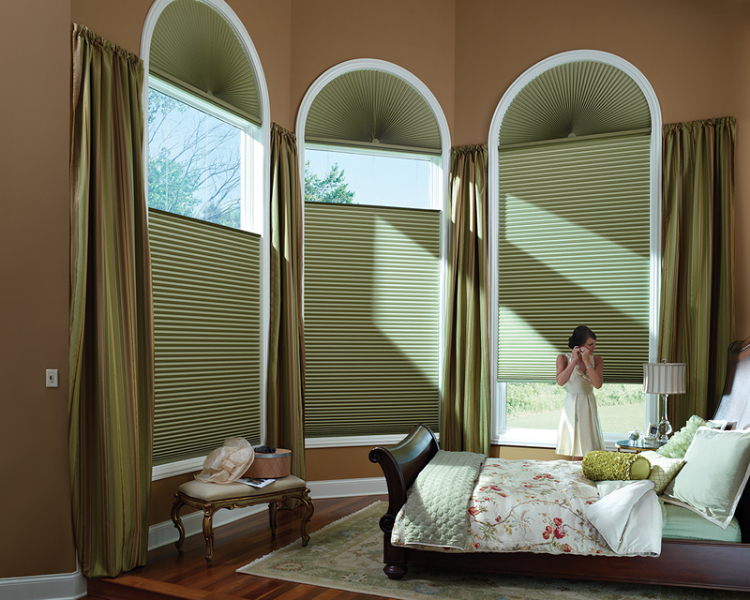 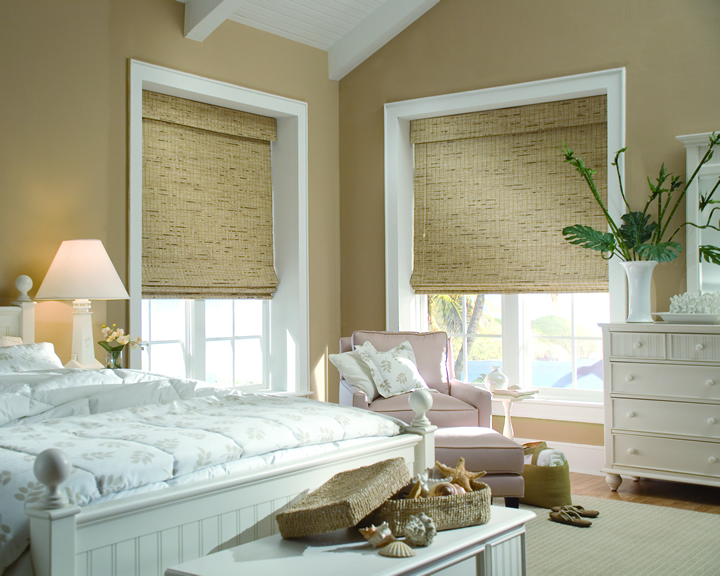 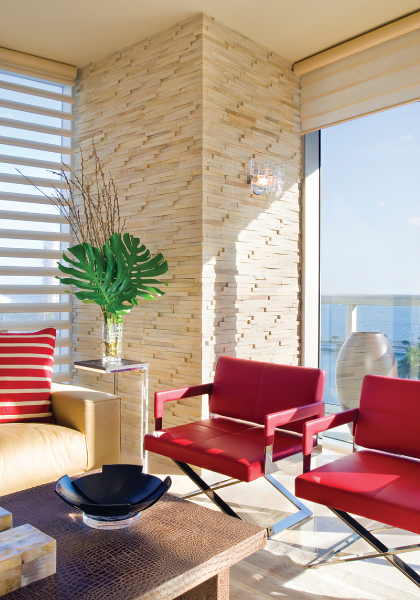 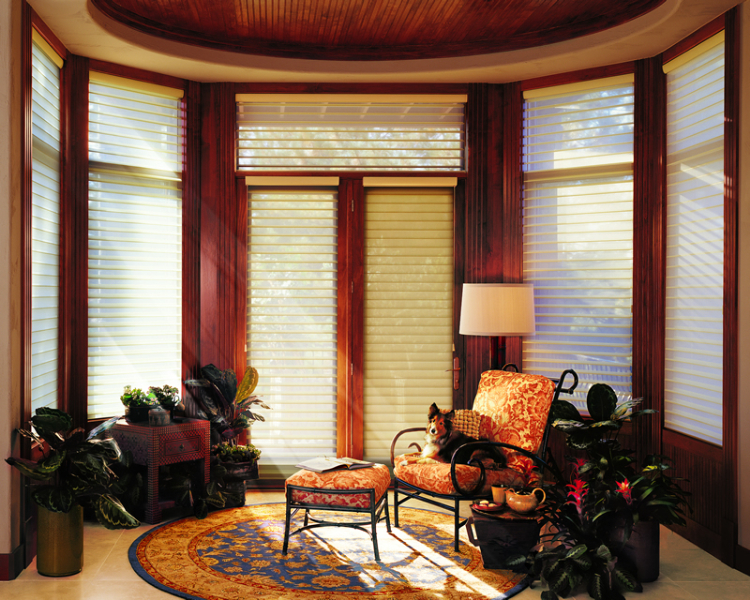 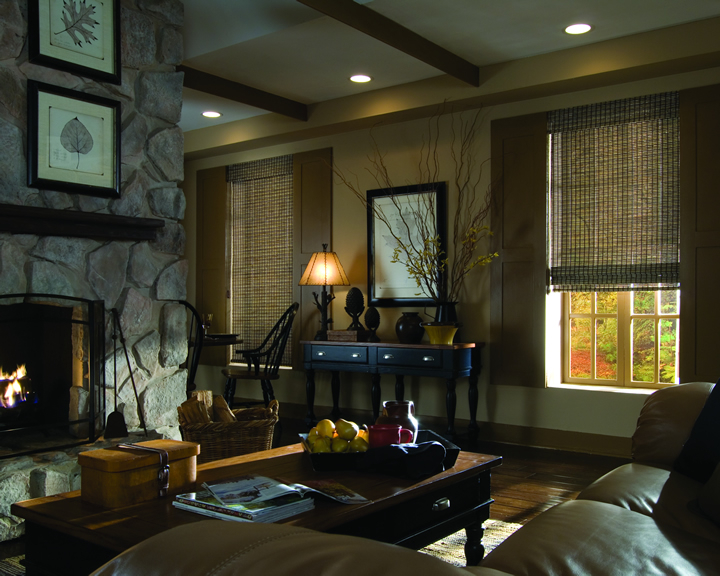 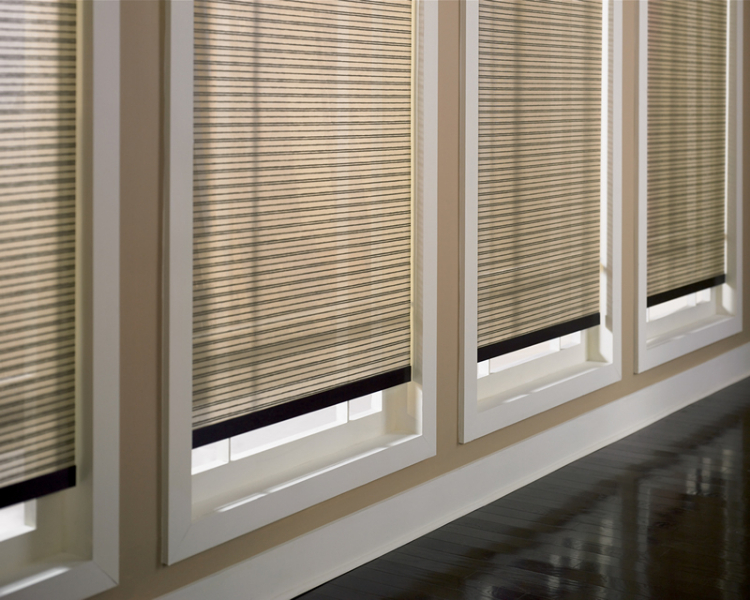 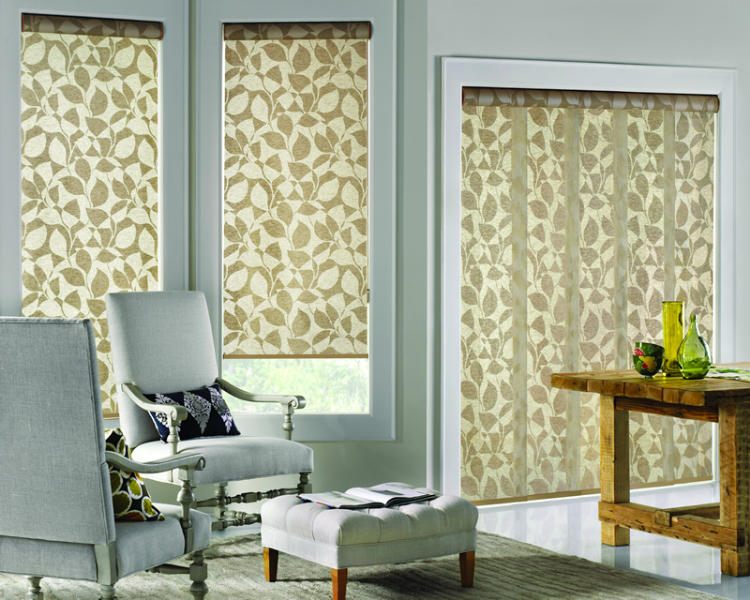 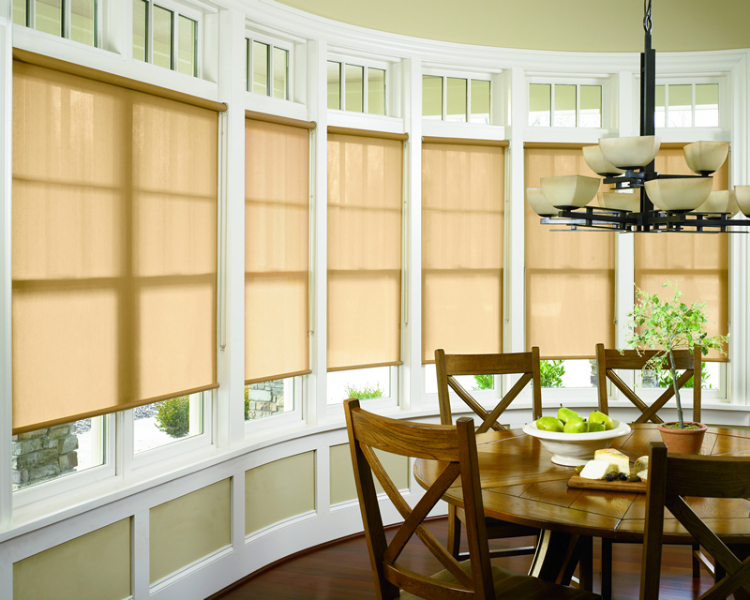 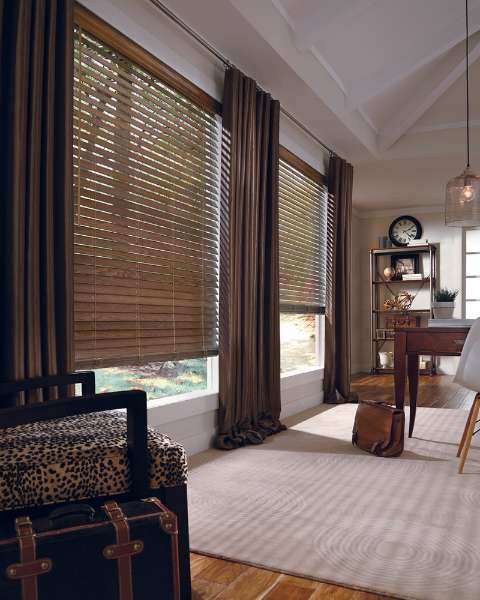 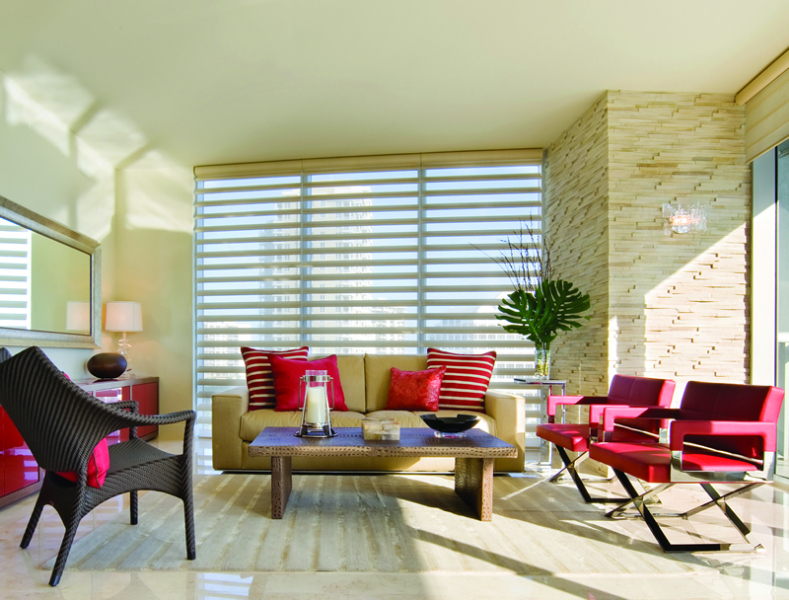 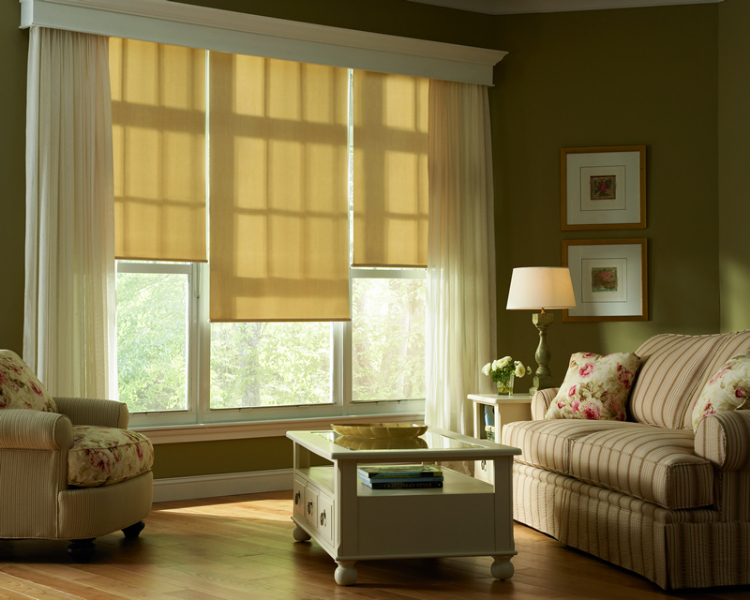 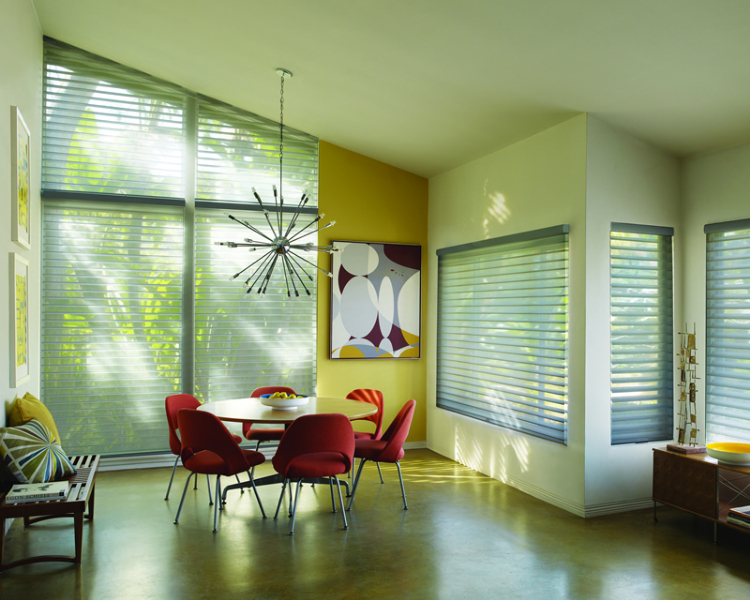 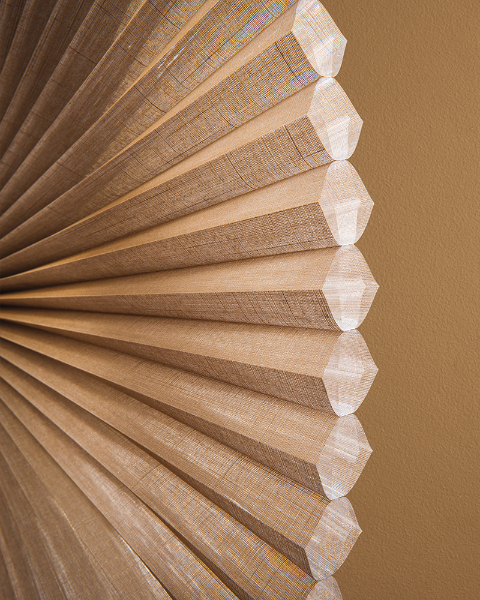 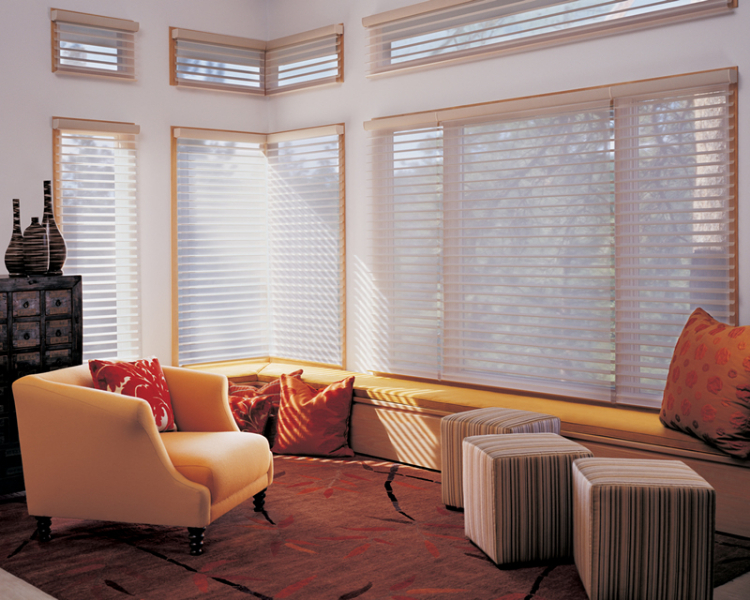 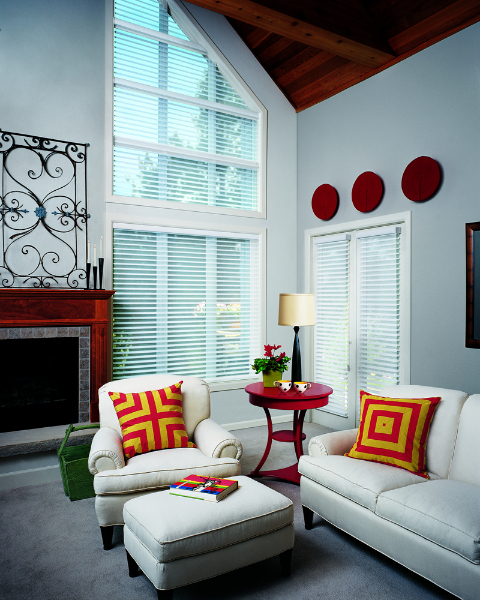 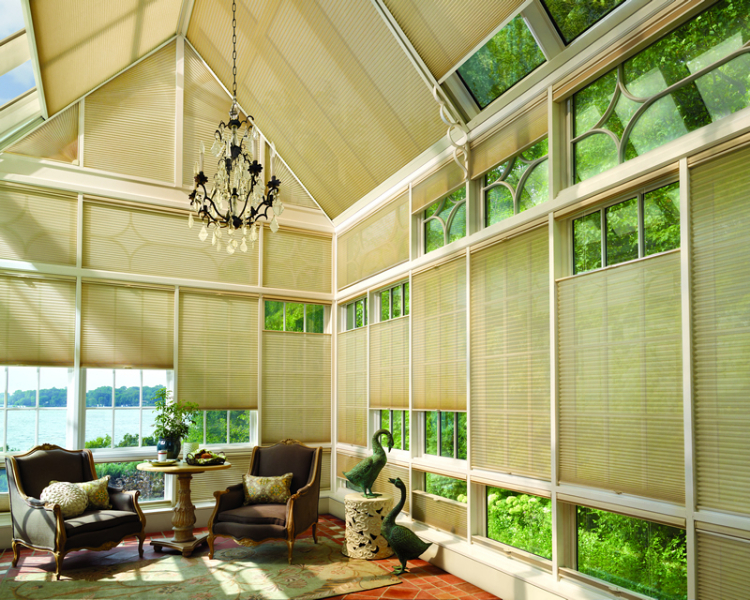 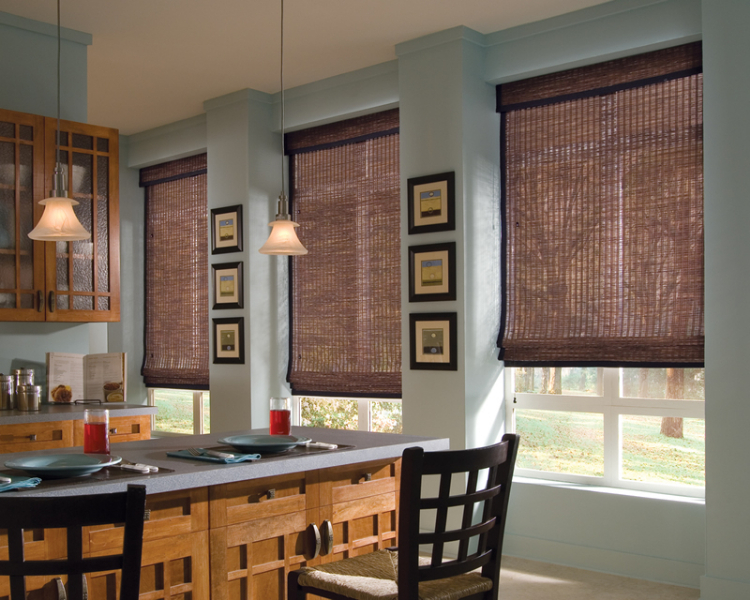 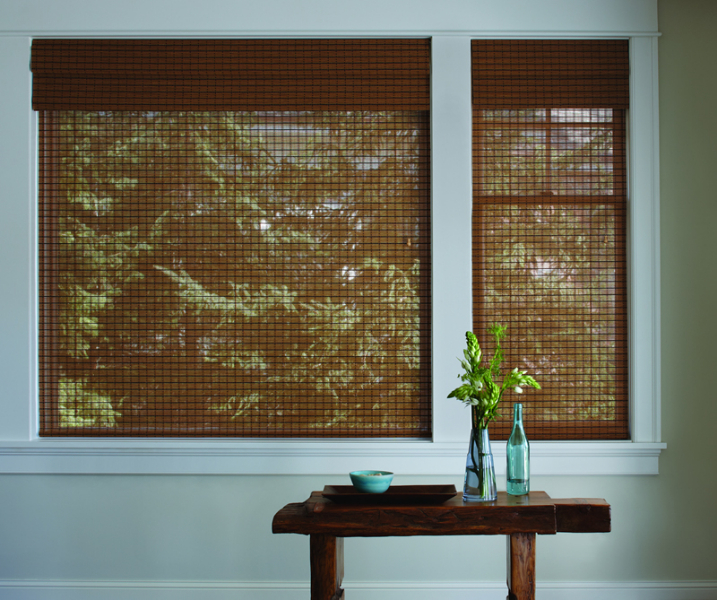 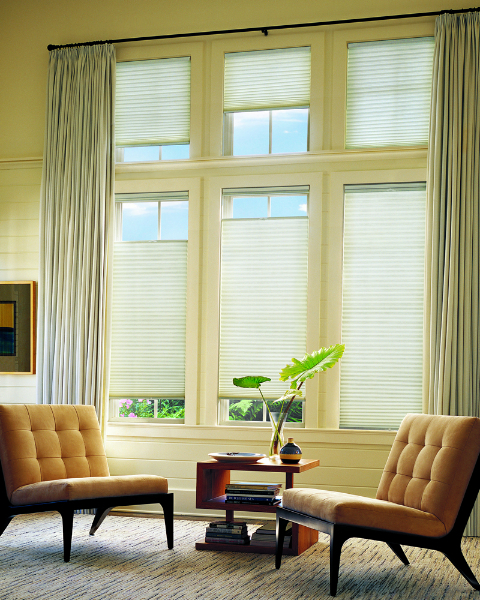 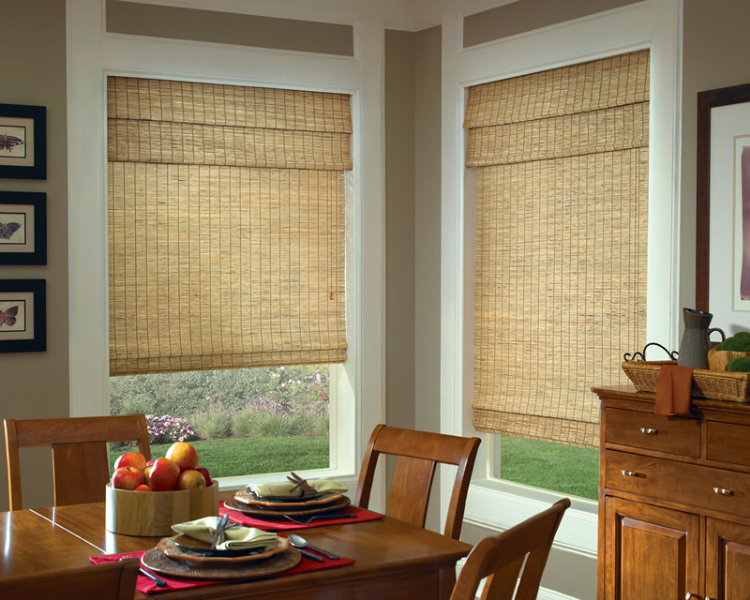 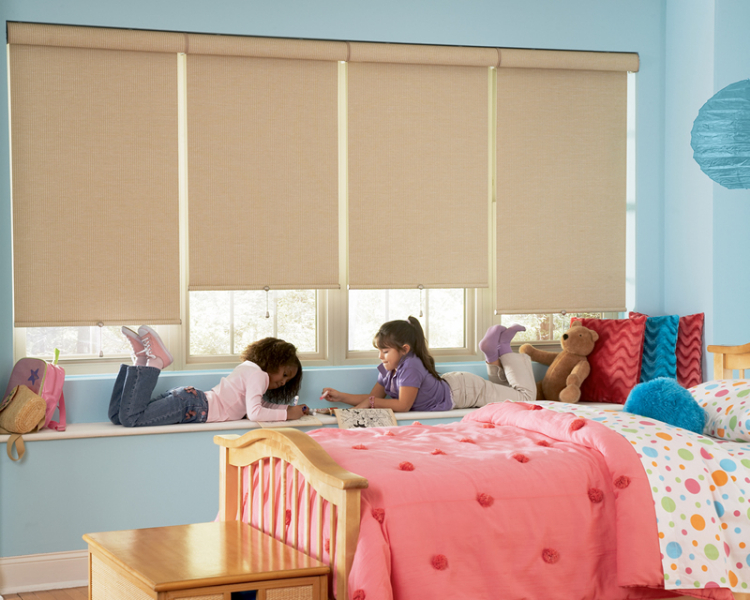 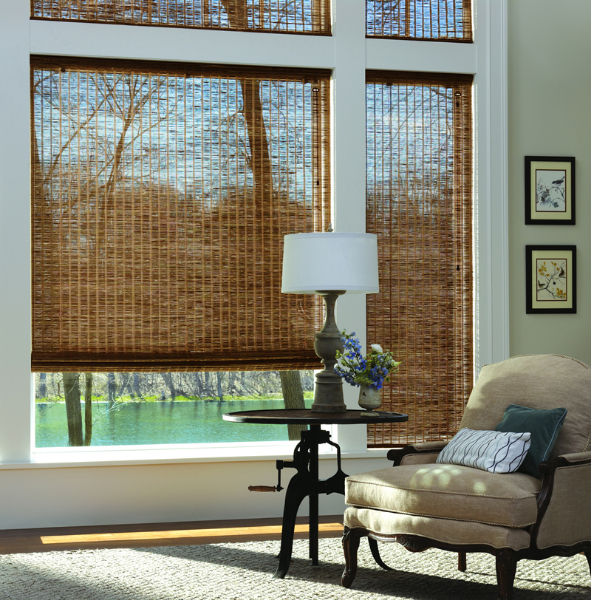 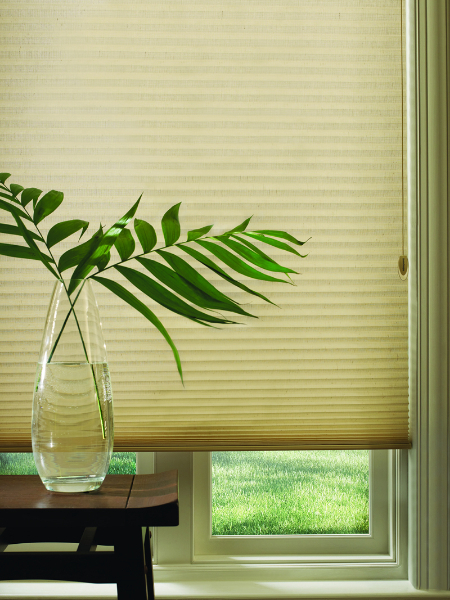 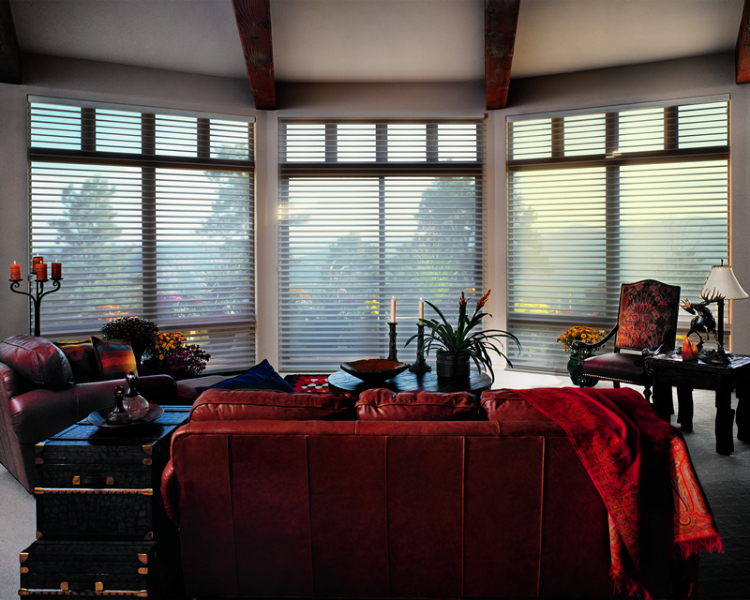 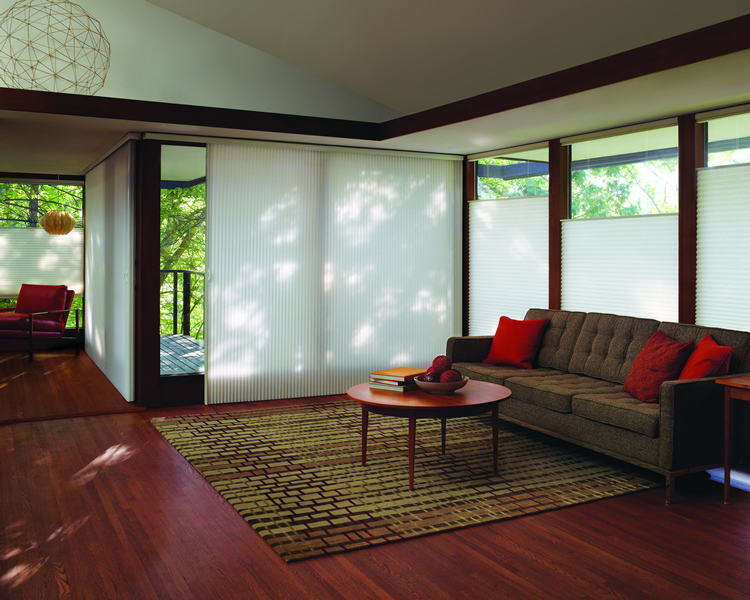 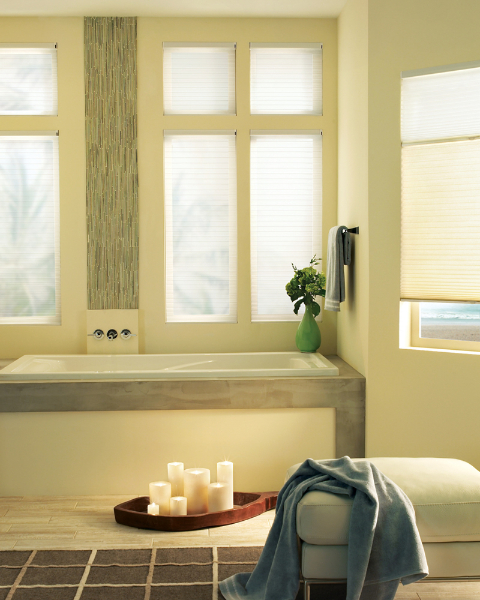 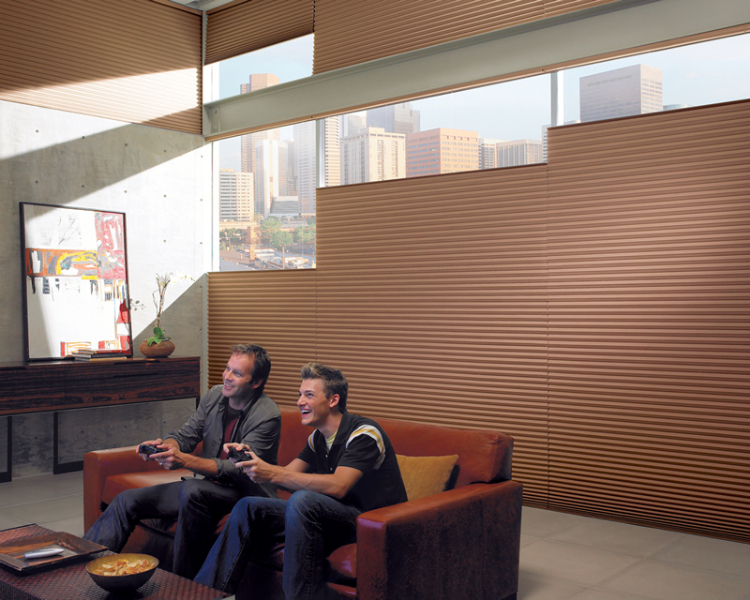 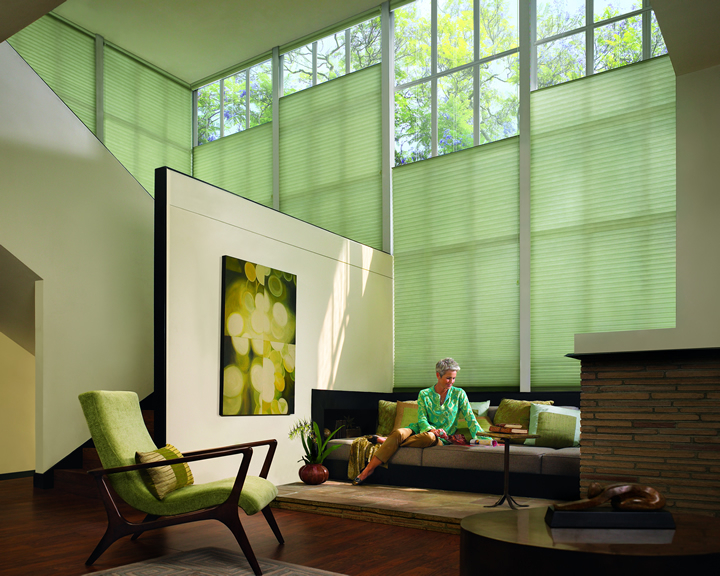 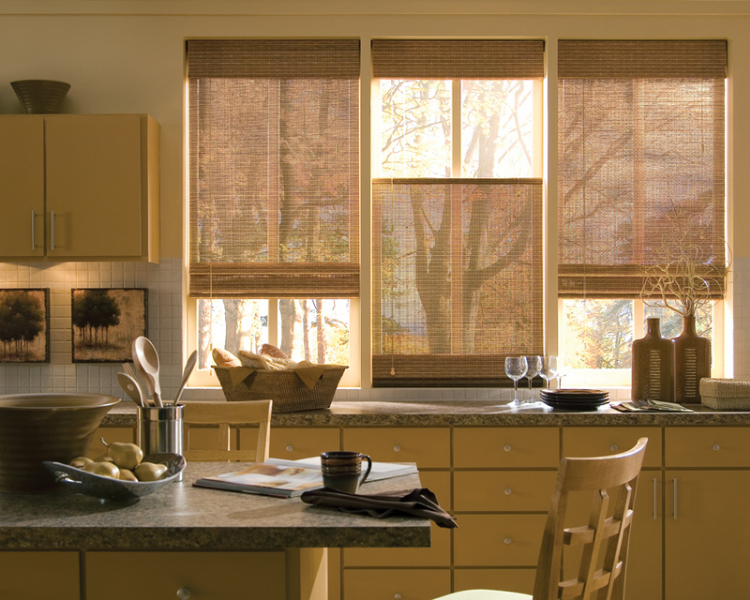 Today’s honeycomb cellular shades are rich in color, texture and energy savings. 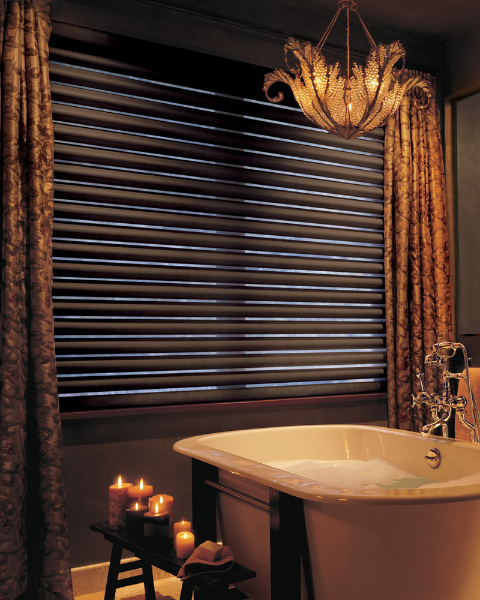 Delicate shades that are made of natural materials such as reeds and grasses, carefully crafted into stunning functional treatments. 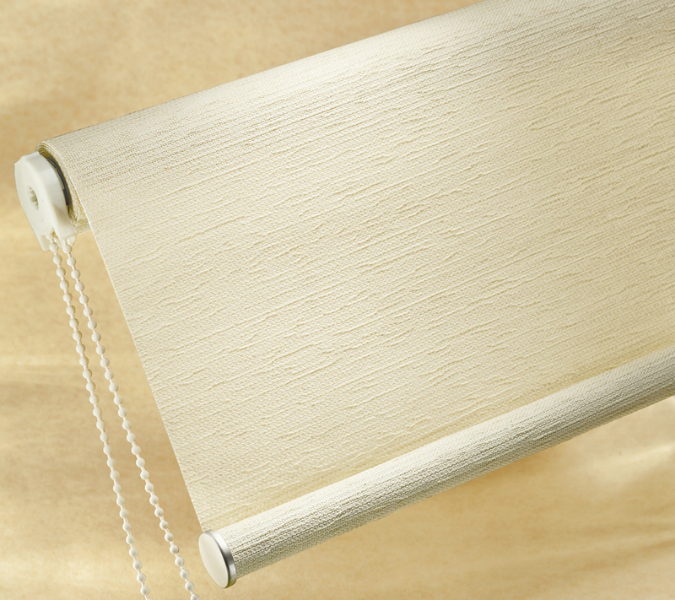 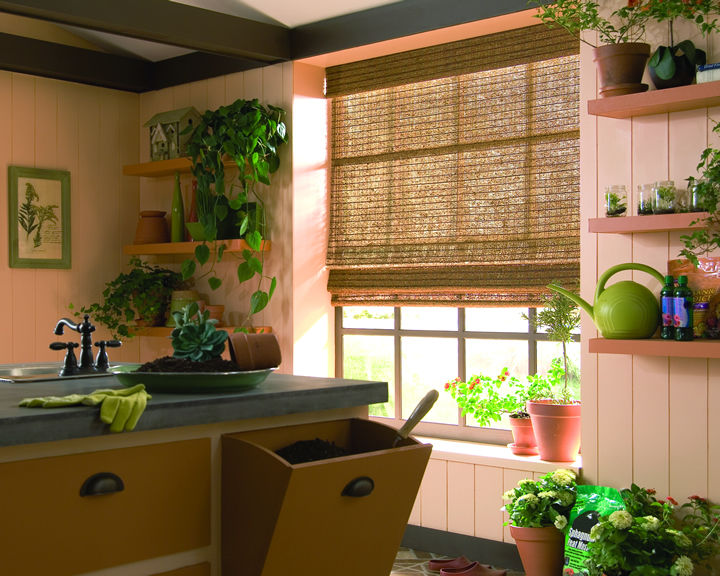 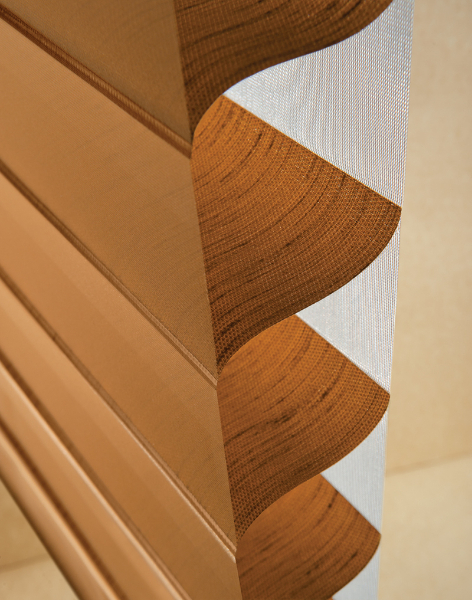 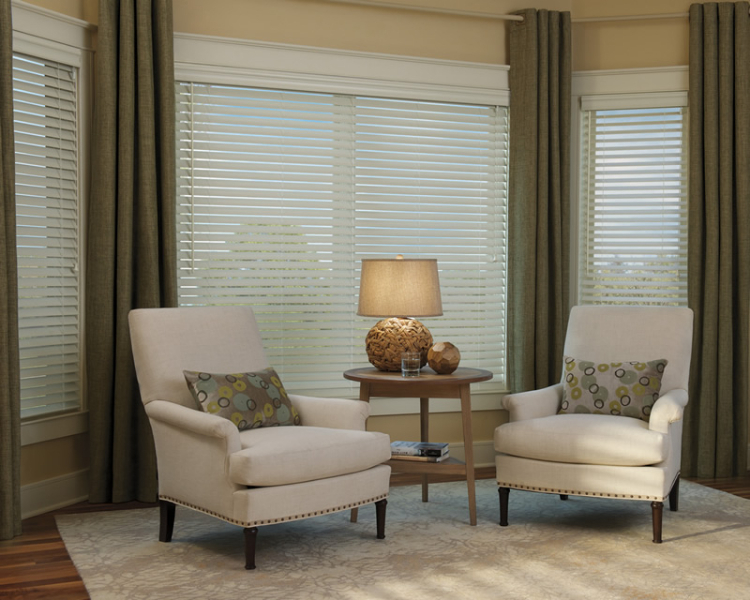 Woven woods introduce subtle textures to your window treatments. 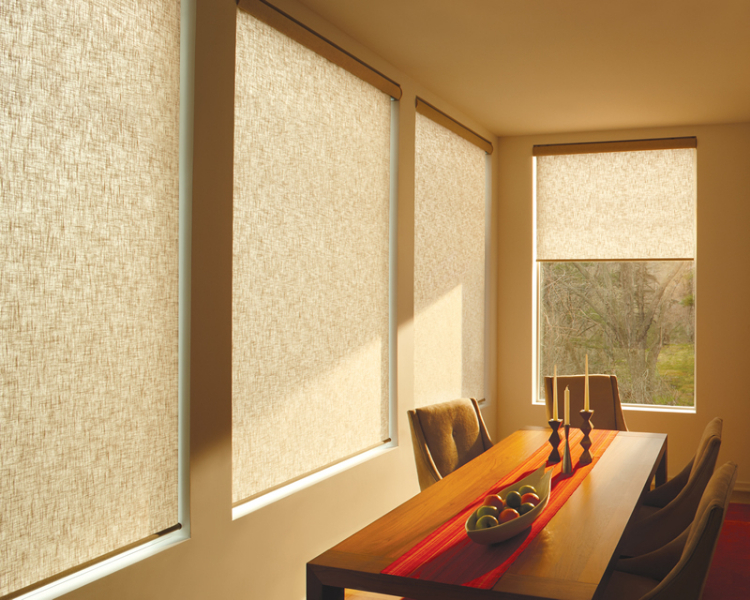 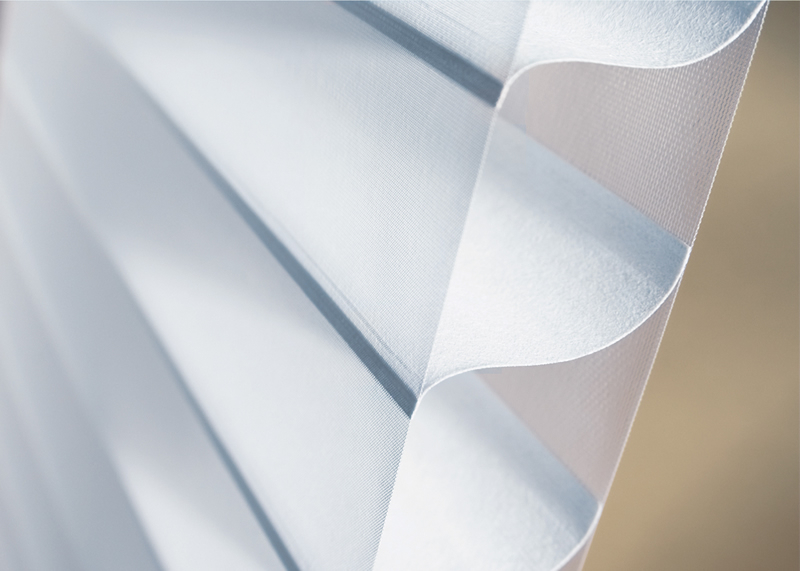 Silhouette’s signature S shape vane offers amazing UV protection to your home and furnishings and enhances natural day lighting. 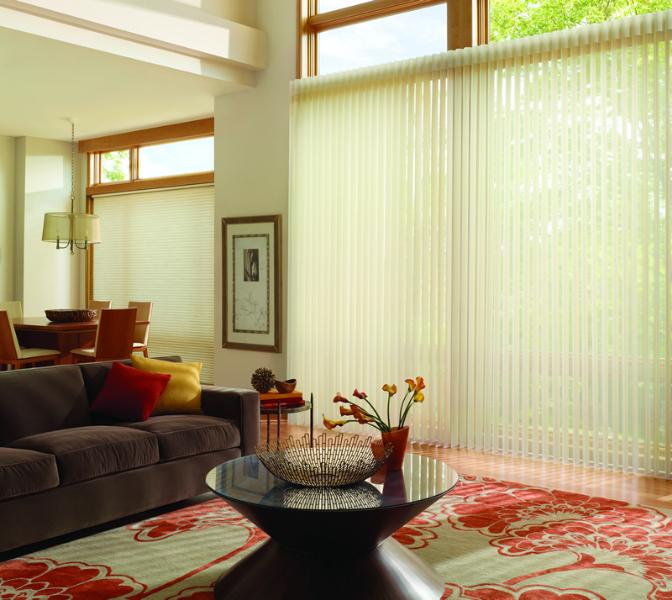 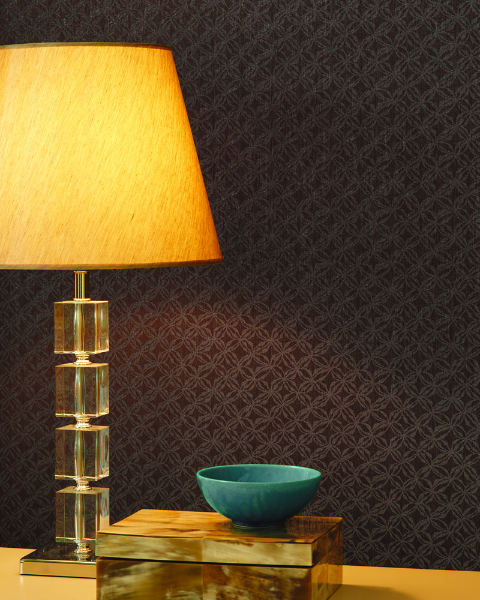 Silhouette is now available in a wide array of fabrics and colors to compliment every décor. 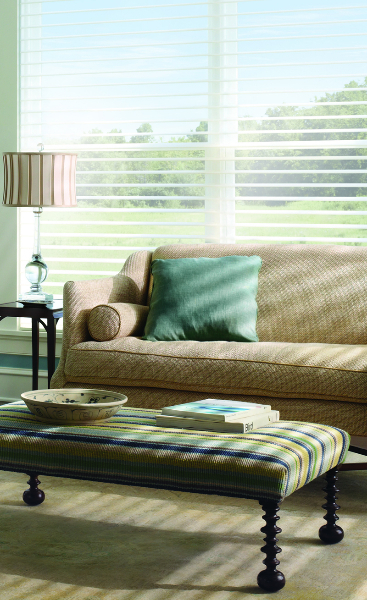 Nantucket ®, part of the Silhouette family offers more casual fabrics, and similar design options. 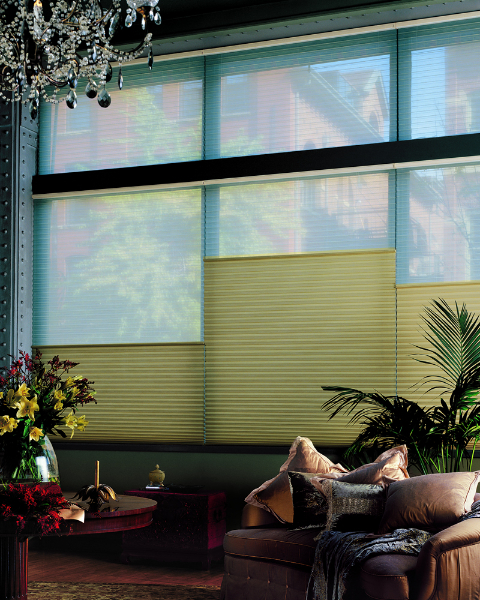 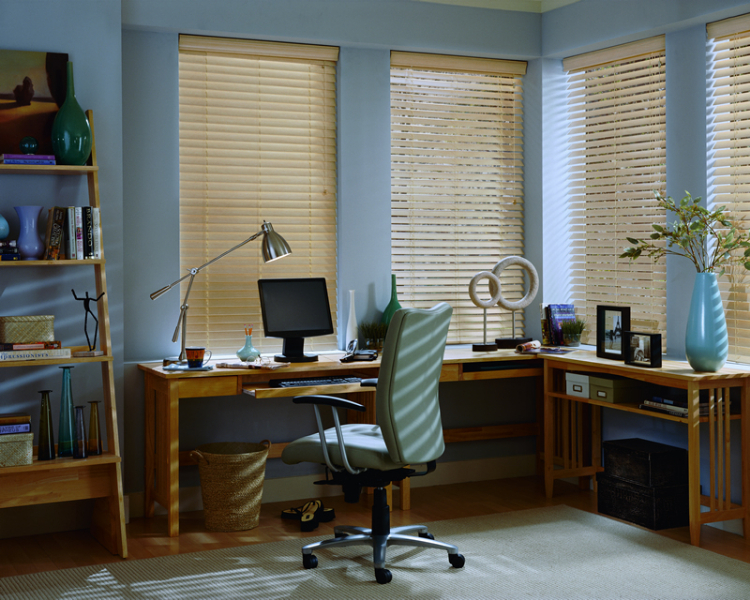 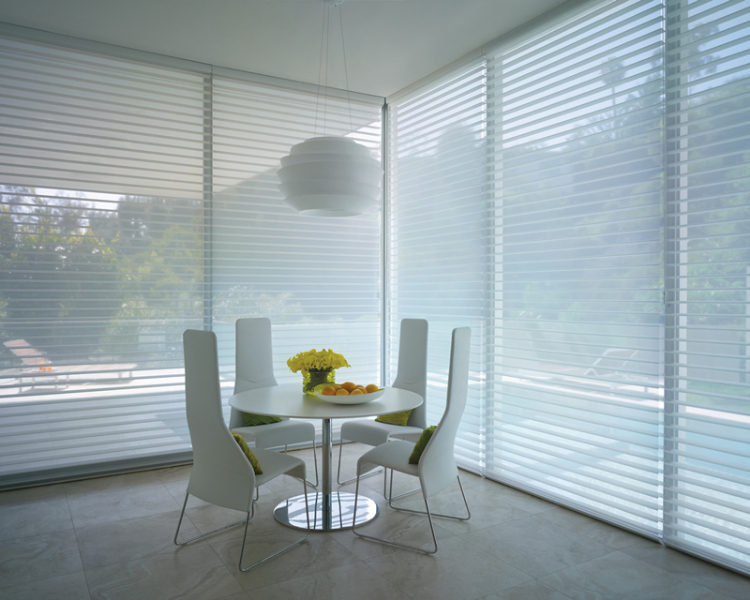 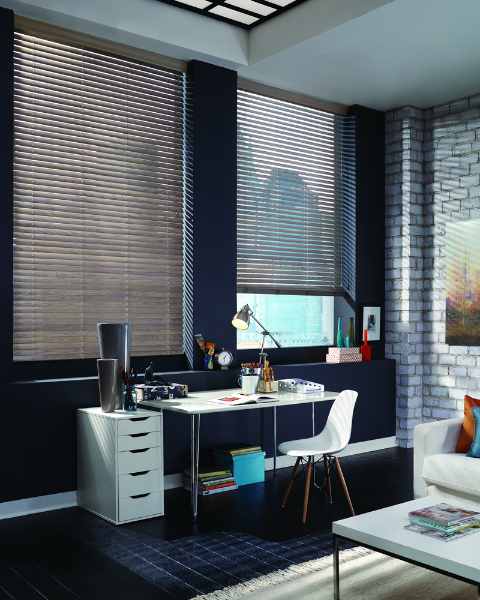 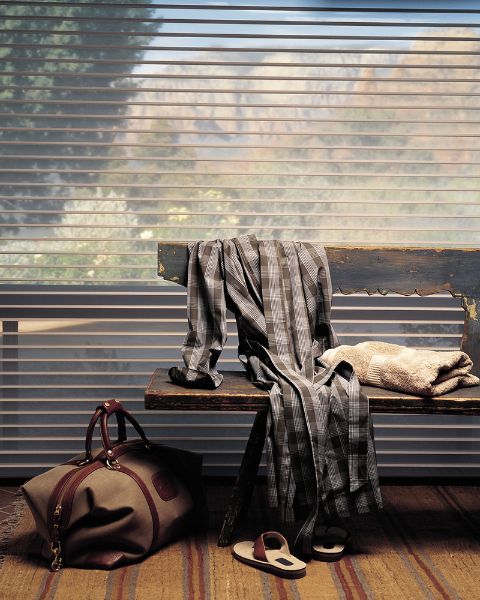 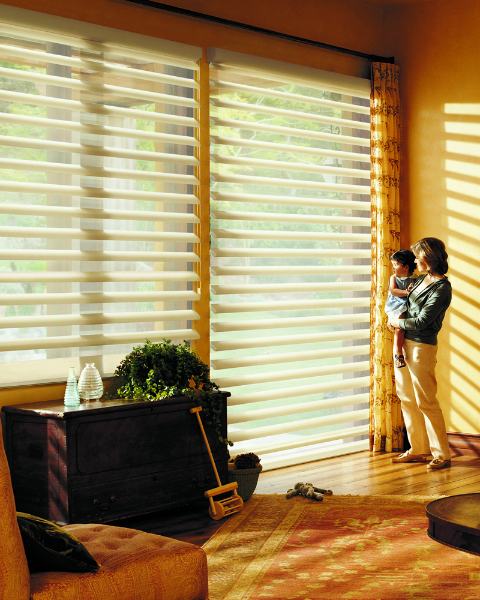 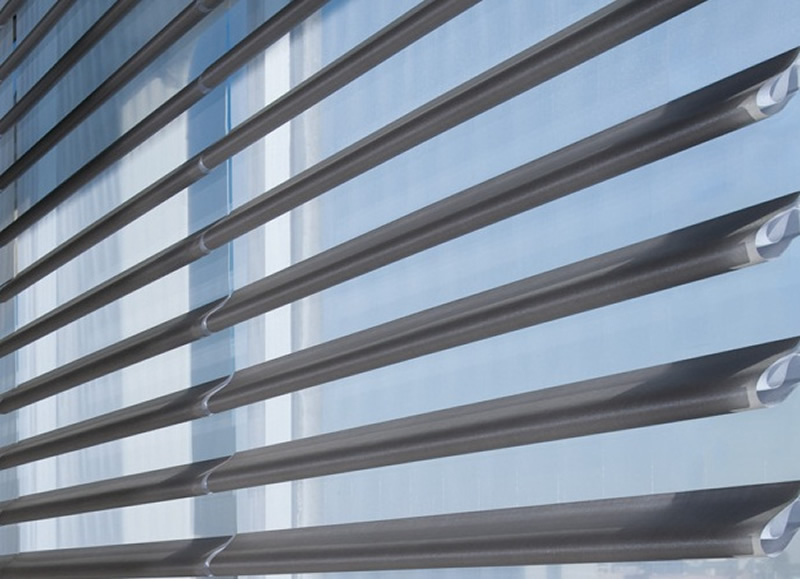 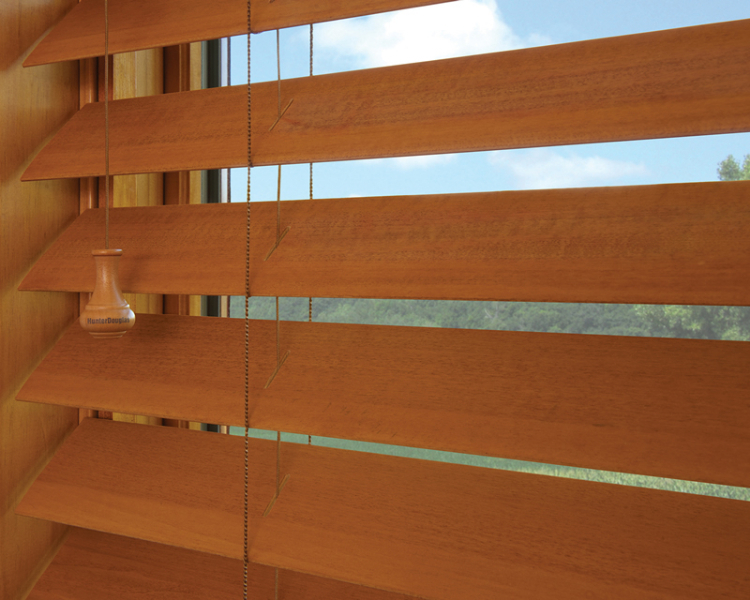 In addition to traditional vertical blinds, Kirtz offers a variety of products that will fit vertical applications. 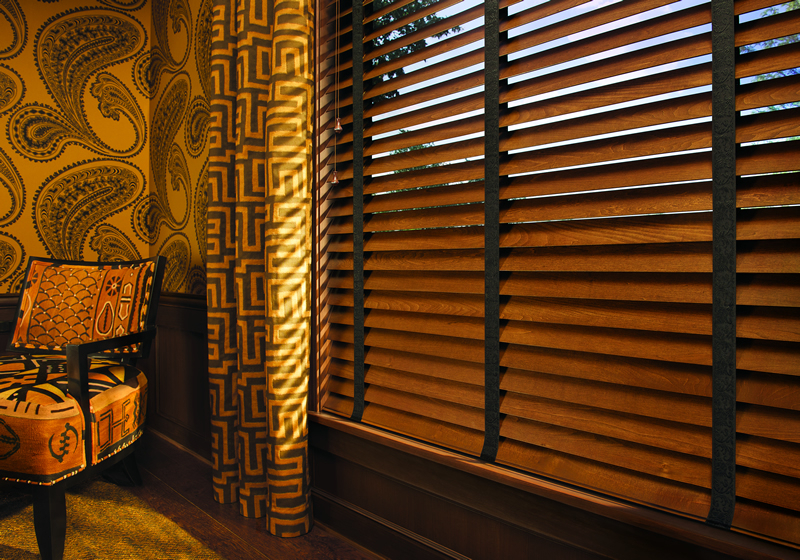 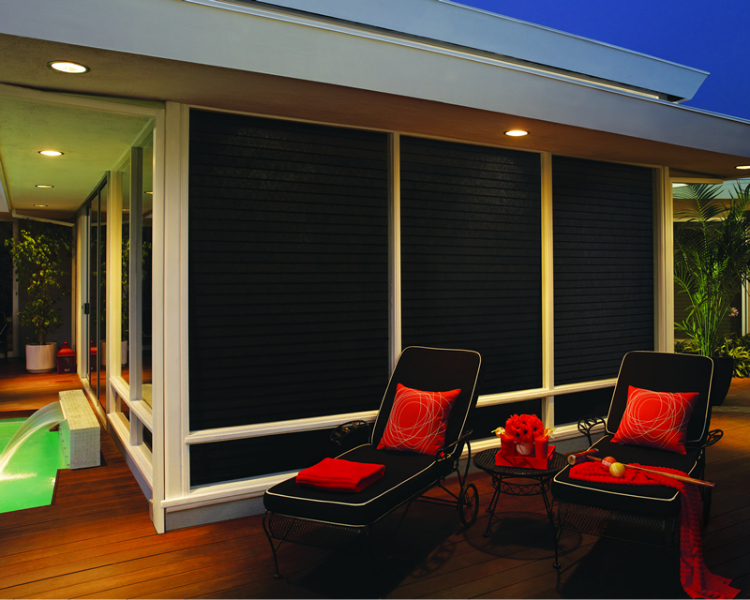 Provenance® Woven Wood vertical drapery, Duette® vertiglide, Luminette® vertical shades, Vignette® vertical shadings and Skyline® vertical panels are all practical options for sliding glass doors or other vertical applications. 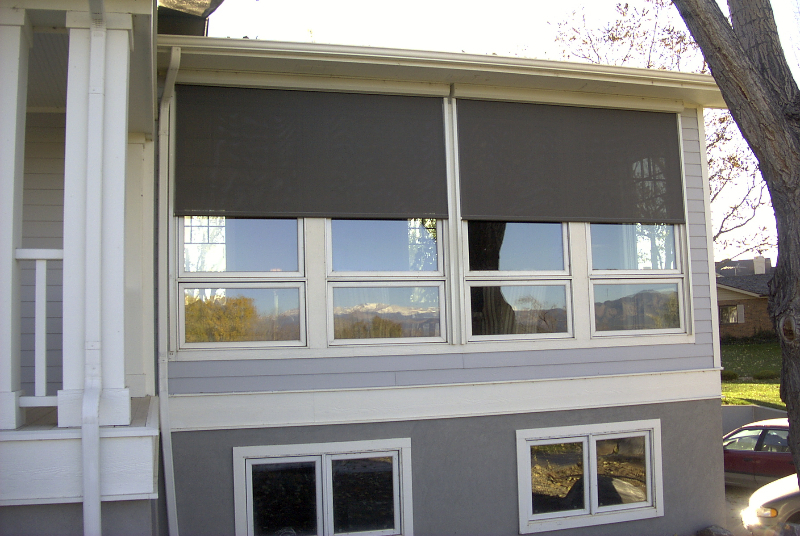 Immensely popular with designers and homeowners alike, solar and roller shades can be a budget friendly choice and offer varying degrees of light control and privacy. 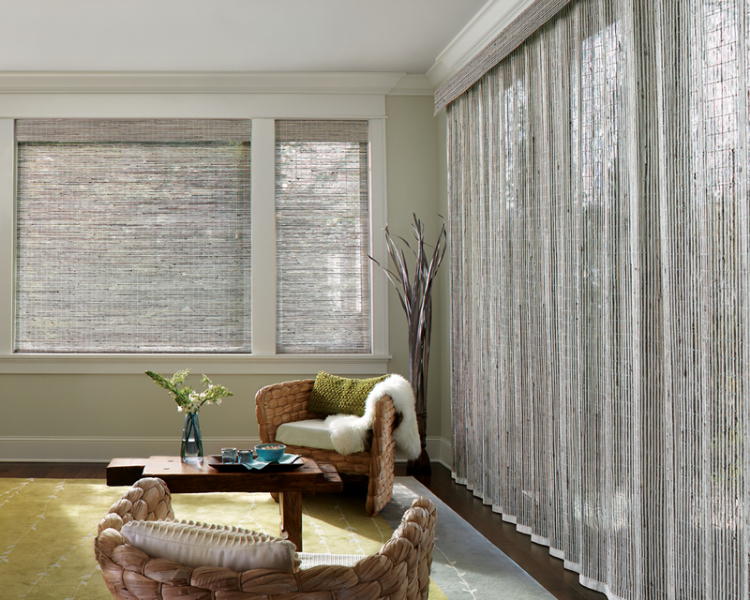 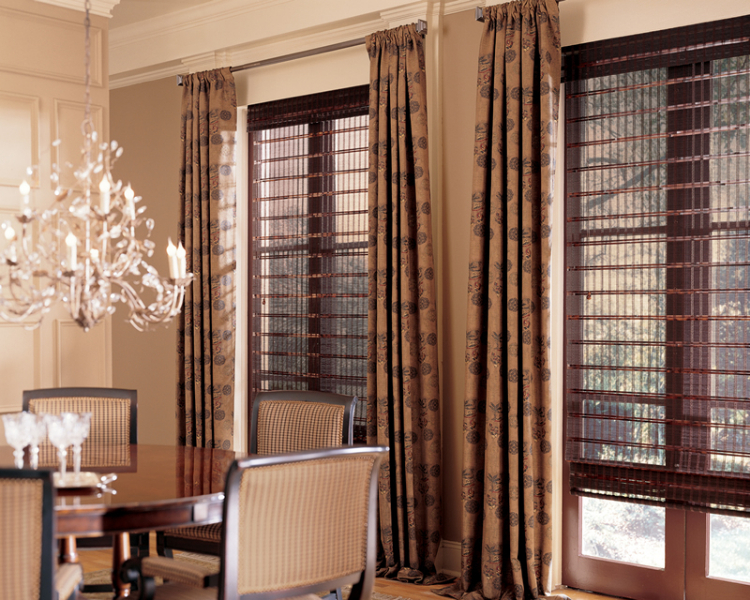 Combining the beauty of a roman shade, the UV protection of a sheer, and the clear viewing option of shade that rolls up completely, Pirouette window treatments are in a class of their own. 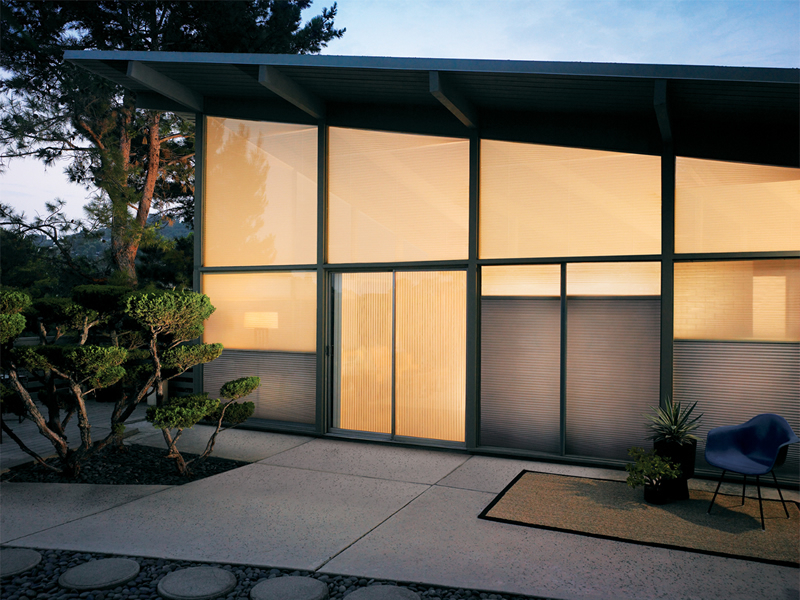 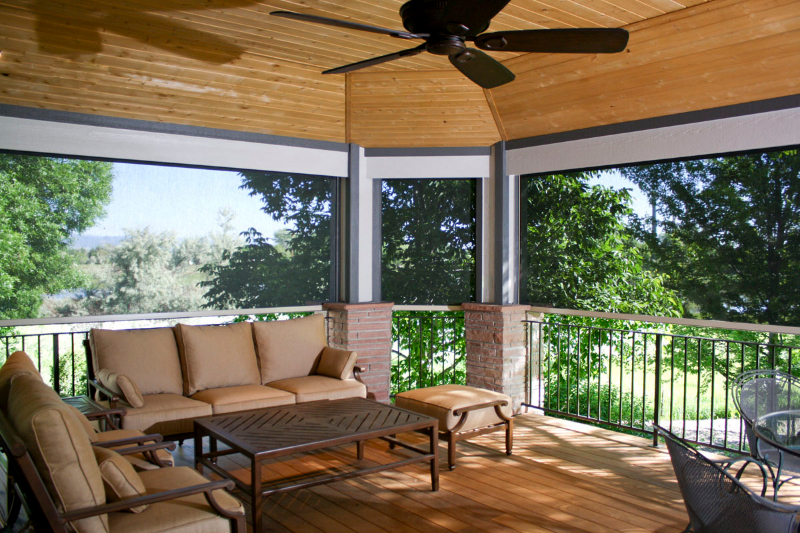 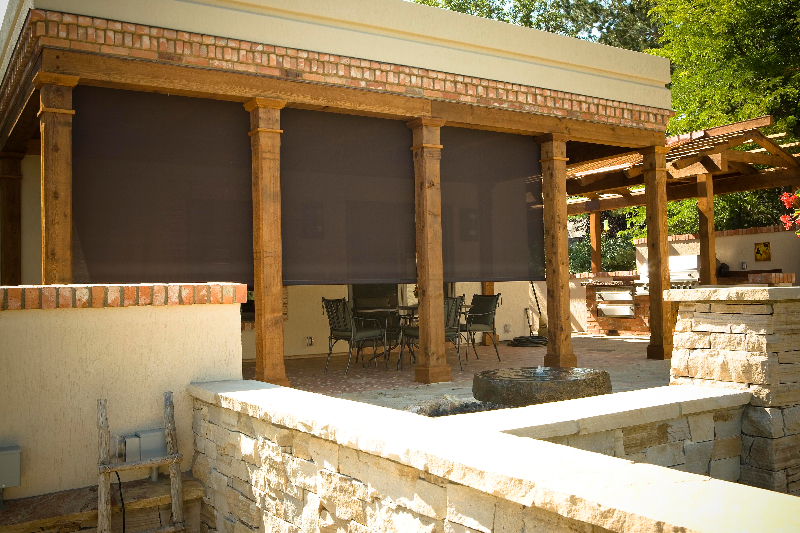 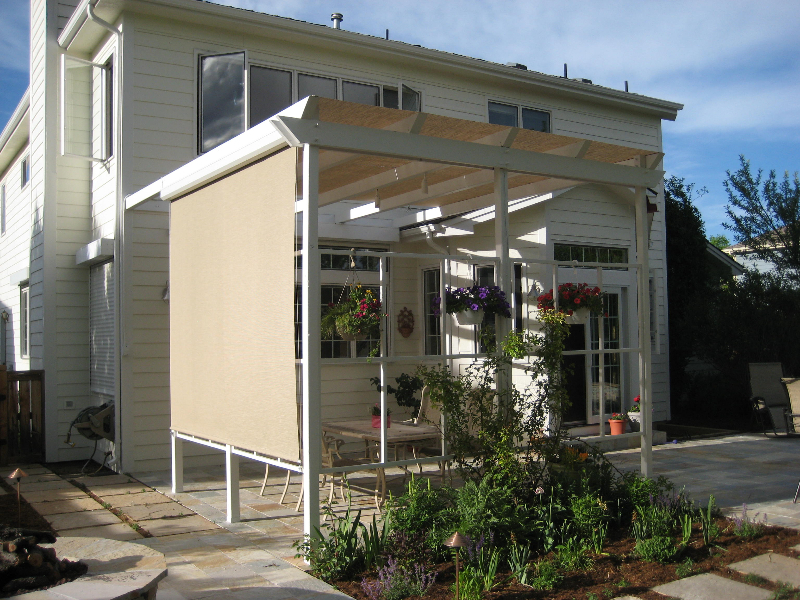 Made of durable synthetic materials for easy cleaning and encased in weather resistant housing, quality exterior shades can make your outdoor space more useable by controlling light, heat and bugs. 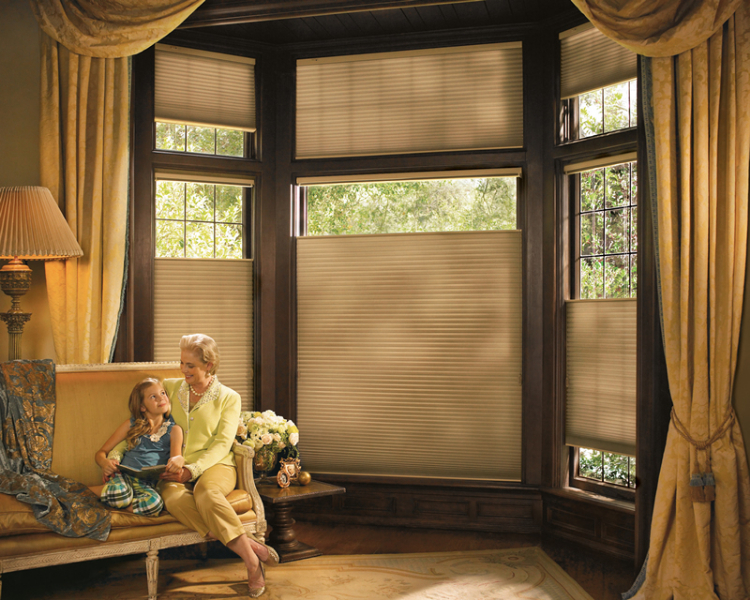 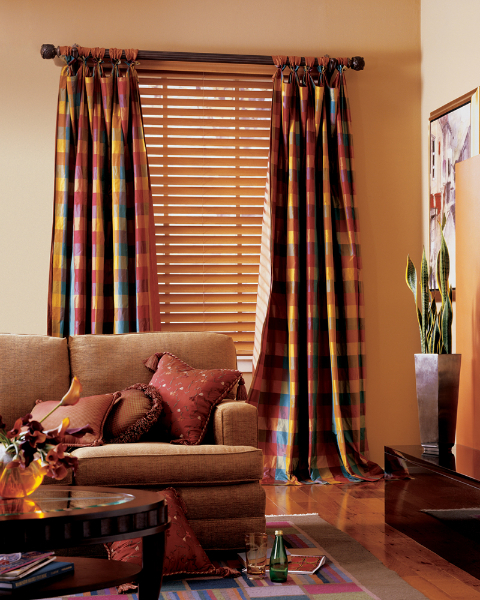 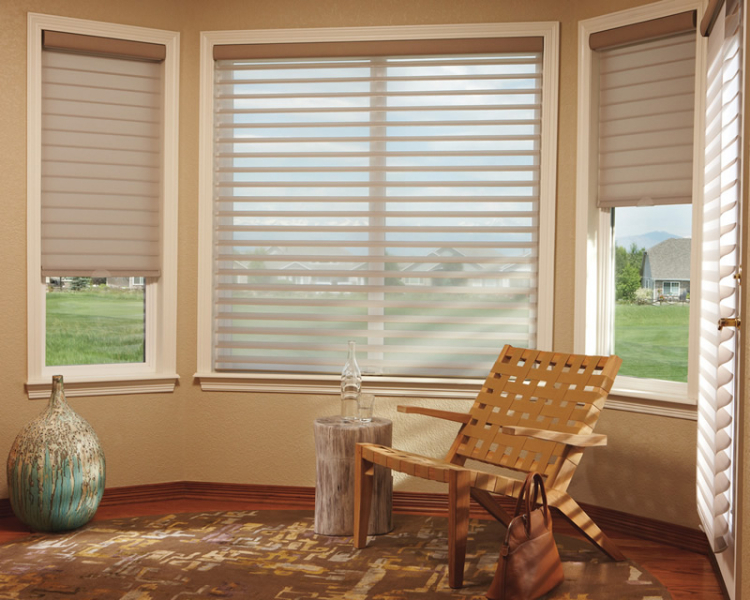 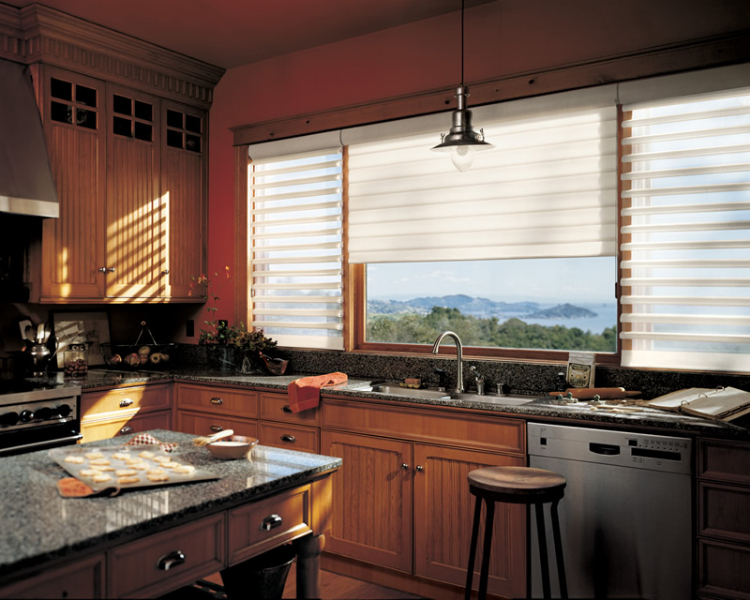 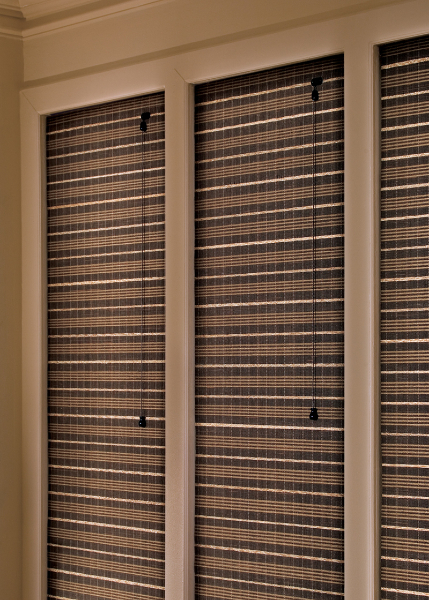 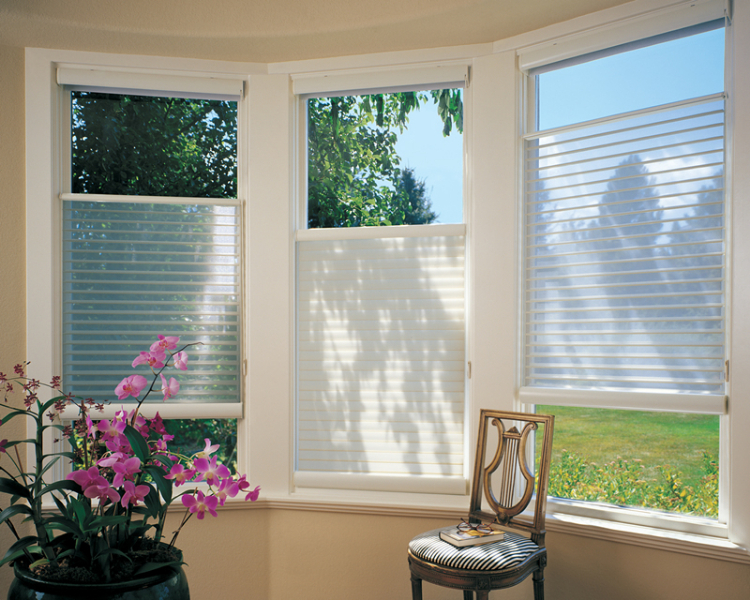 Hard wired and battery powered motorization are available on most all of our window treatments. 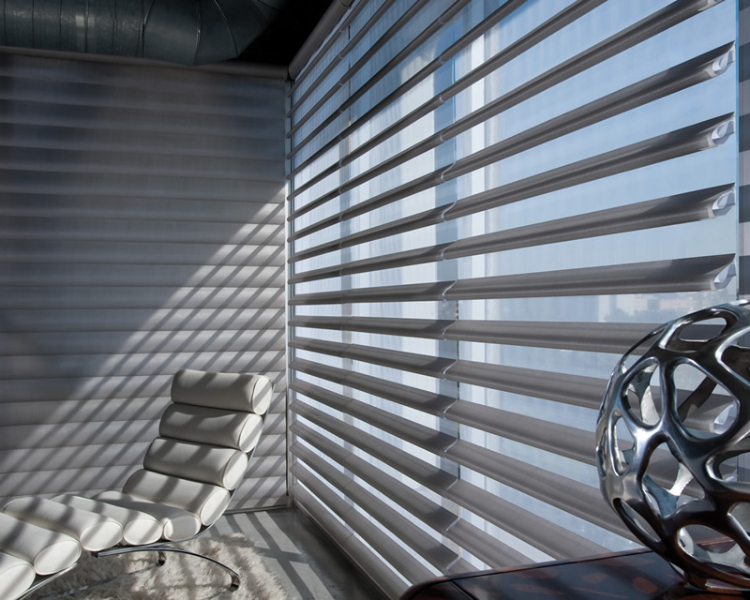 Platinum technology through Hunter Douglas makes it possible to tie your treatments into home automation systems, and even control your blinds remotely from your Ipad. 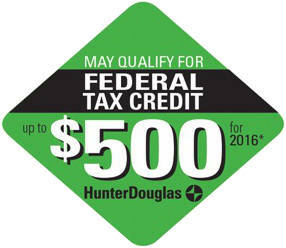 Call us today for more details! 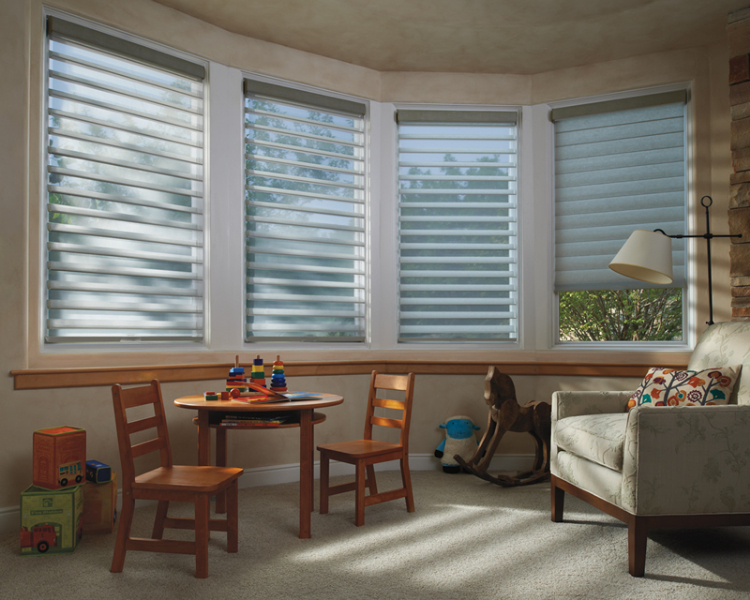 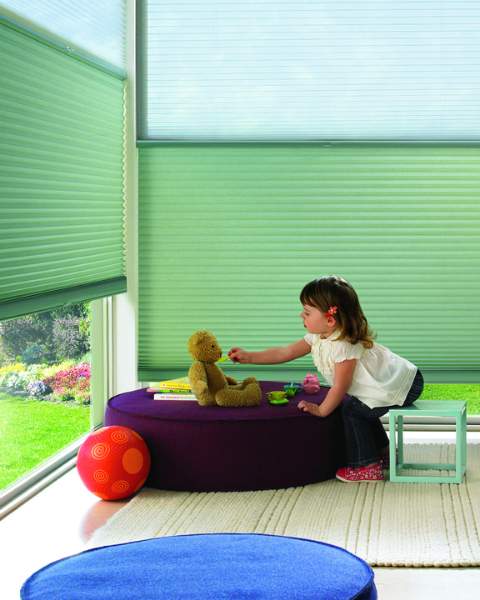 Hunter Douglas® places an emphasis on child safety in all their products and offers specially designed systems for most window treatments that allow hidden or cordless operation. 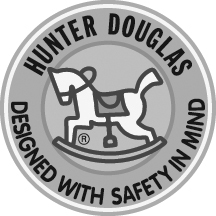 If child safety is a concern to you, ask us about options which can enhance child safety in your product of choice.